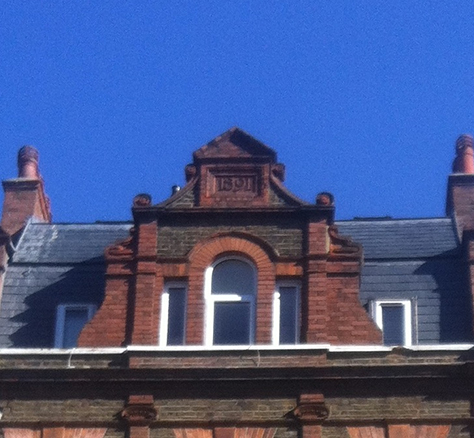 the UK & Channel Islands. 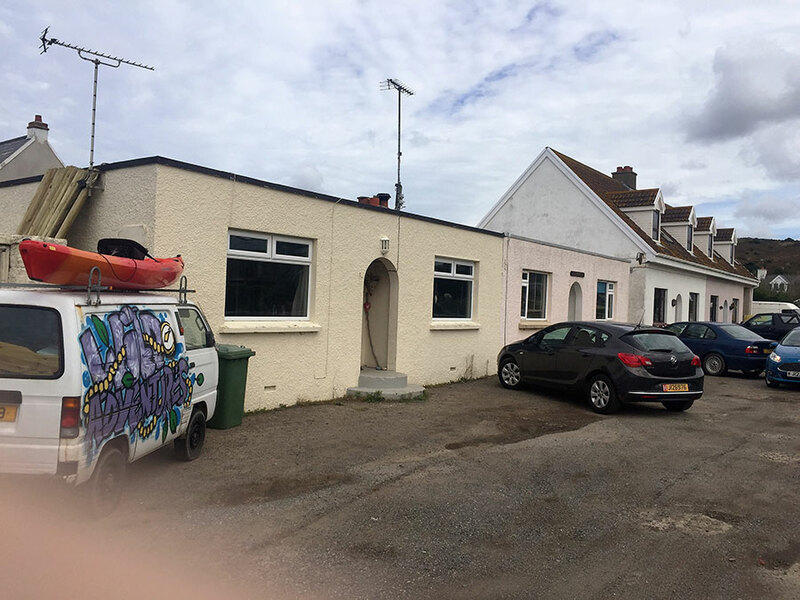 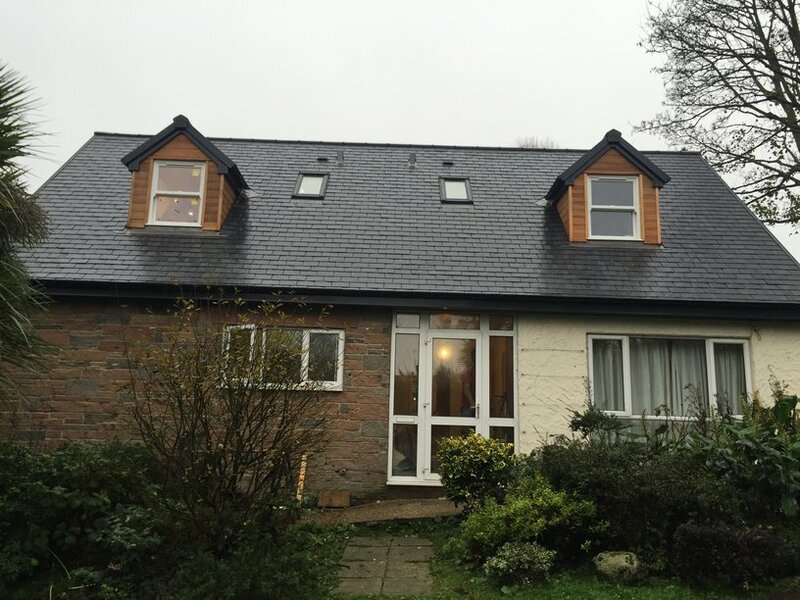 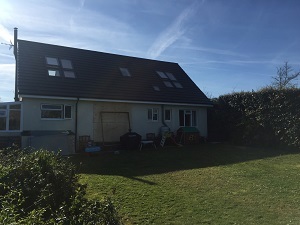 A bungalow in Guernsey, the family were looking to create more space and wanted to gain 3 rooms and 2 bathrooms in the newly raised roof space. 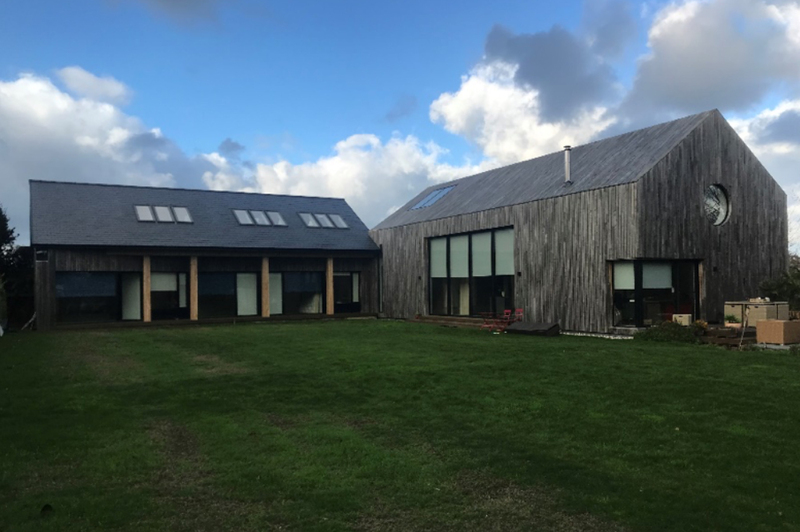 The design for this project was carried out by Paul Martel of Martel Design Ltd, Architectural & Building Engineering designers in Guernsey, we worked together to create a bespoke Moduloft that would achieve the new space. 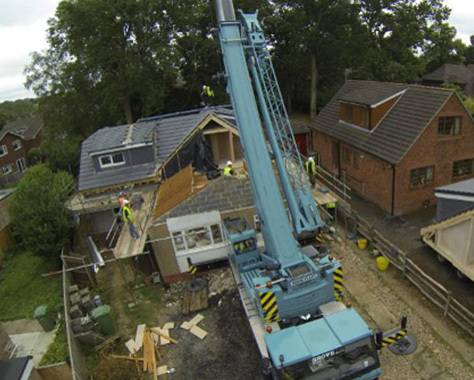 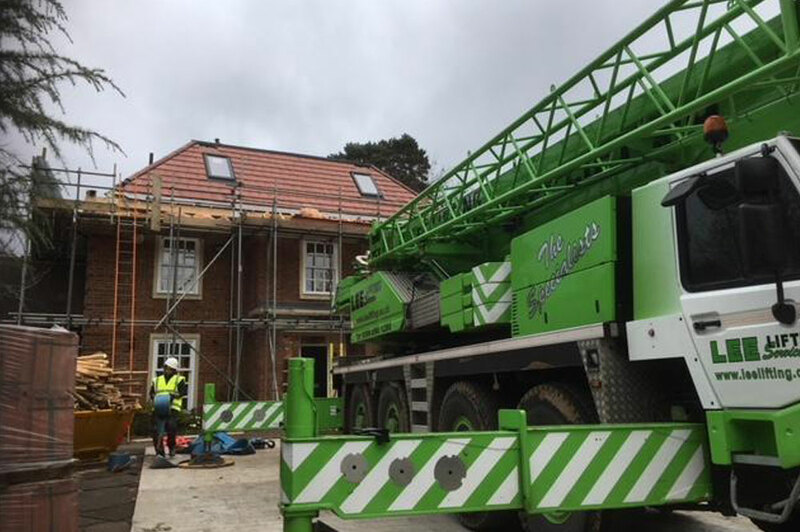 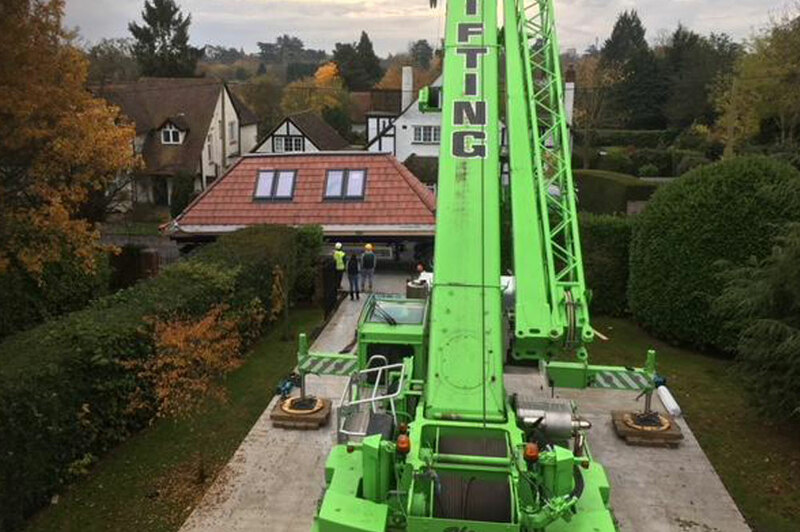 This project broke new ground for Moduloft – a two storey modular transformation creating an additional five bedrooms, games room and two bathrooms, our biggest residential project to date. 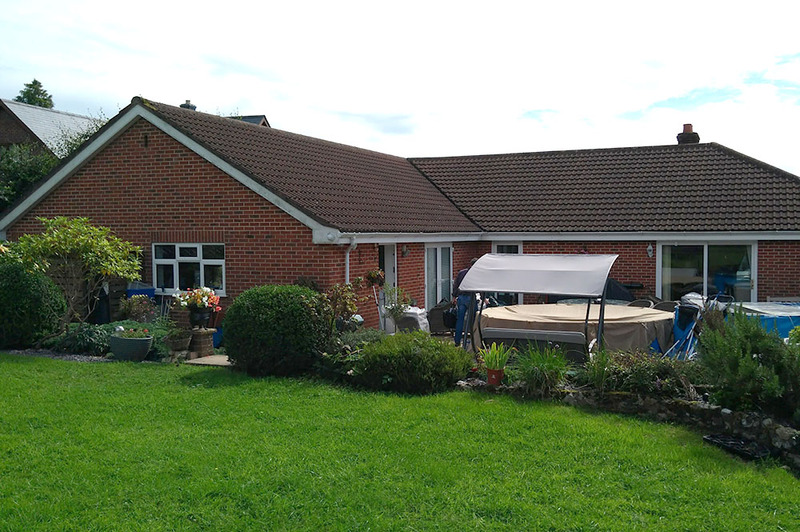 Our brief to provide space for an expanding family and a family with special needs. 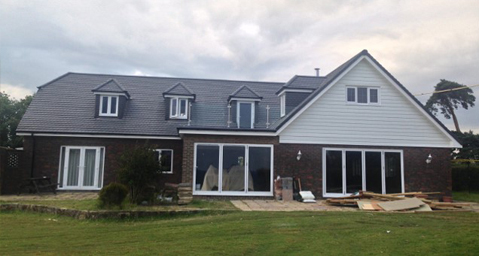 Vale in Guernsey was the location of this stunning property transformation. 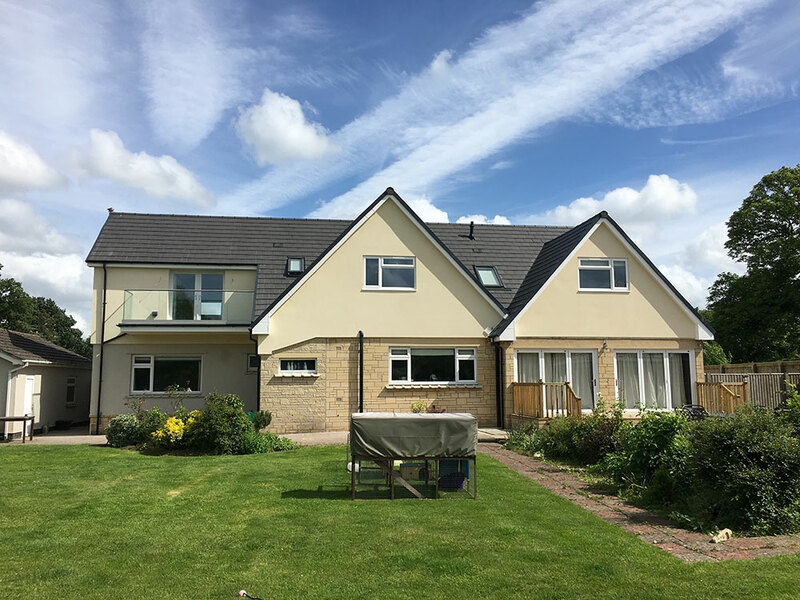 The award winning property for its architectural design was looking to create more space in the single storey adjoined to the main house. 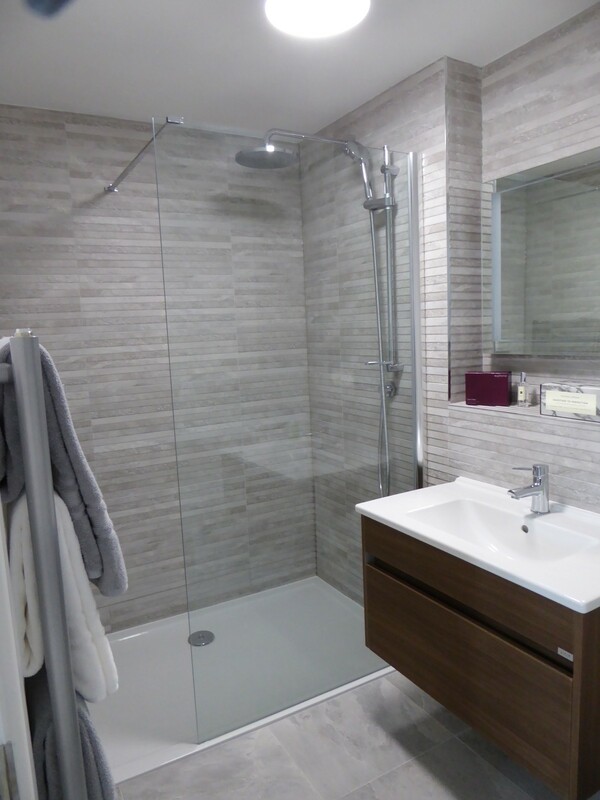 Moduloft challenge was to create 2 rooms and a fully fitted bathroom. 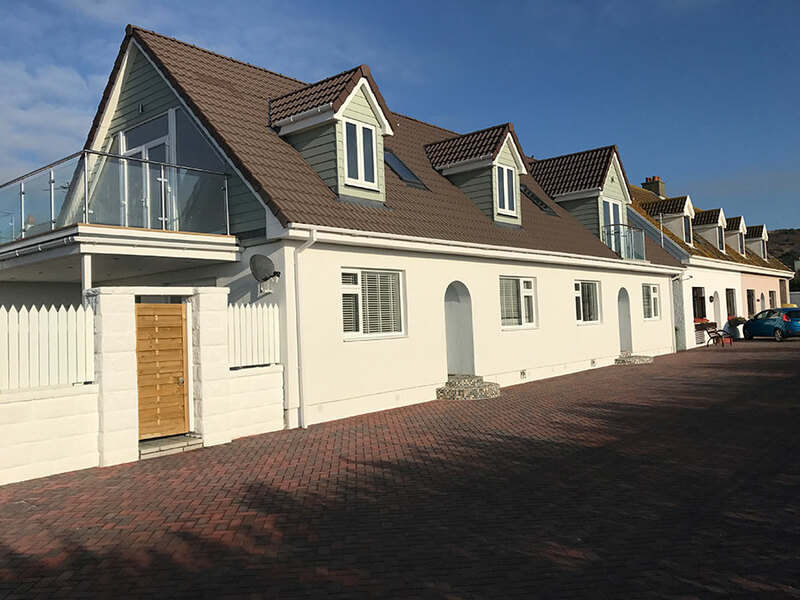 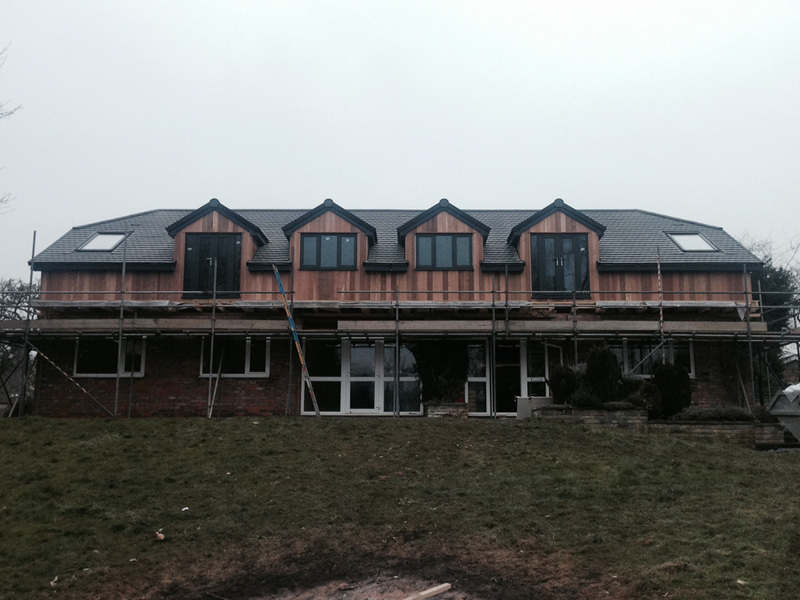 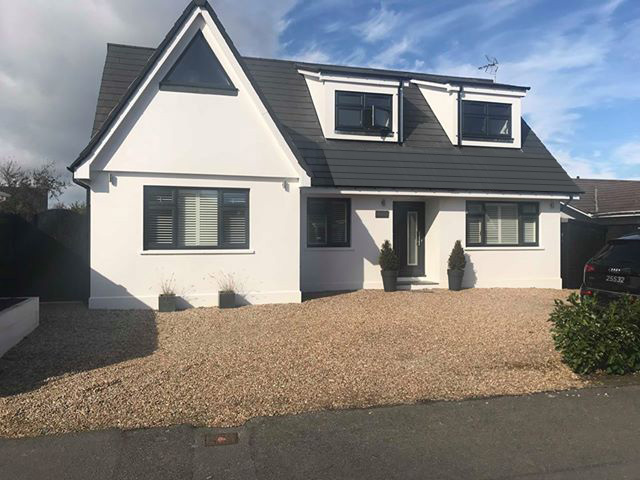 The new space was to compliment and work with the stunning property, the external appearance was key and we finished with the gables clad in sweet chestnut and roof covering in Spanish blue slate. 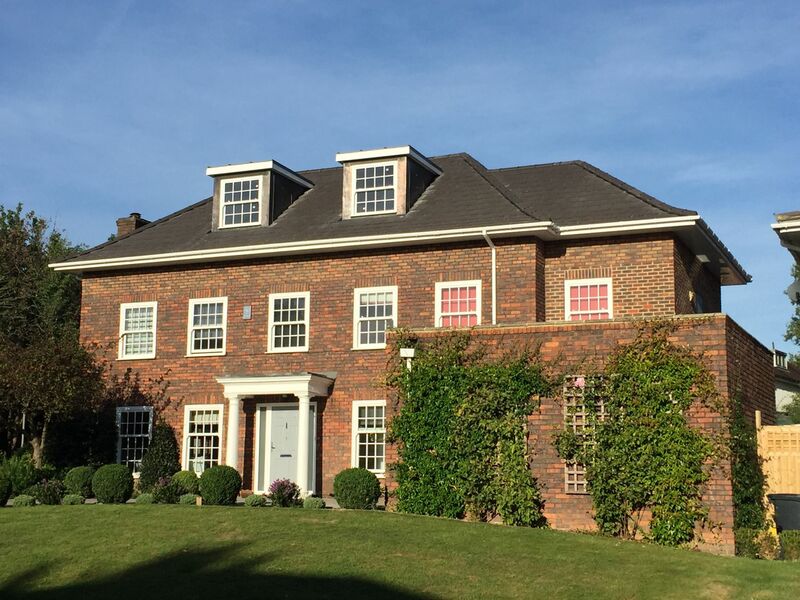 The pillars were the finishing touch to the external design and appearance of this bespoke and distinctive property. 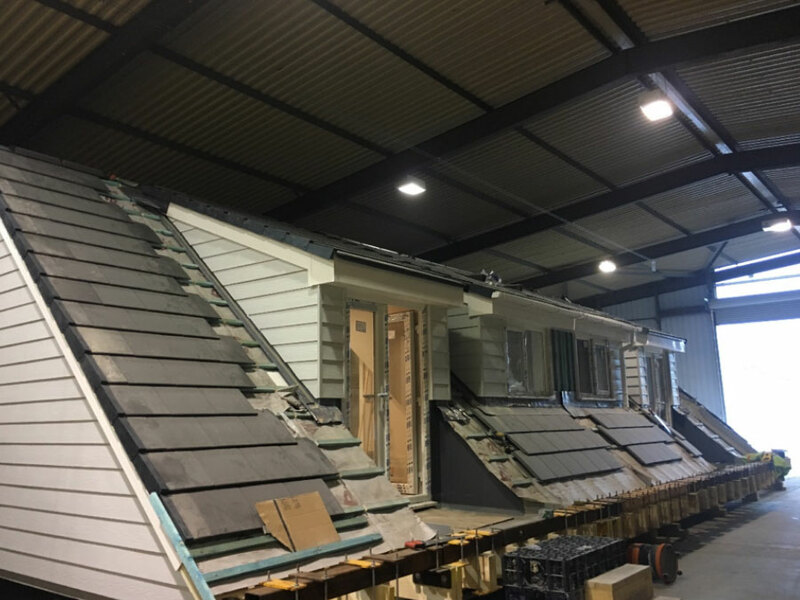 This bespoke Moduloft project for a property on West Park, Harrogate was to design and build a two storey Moduloft in the factory for speed and convenience. 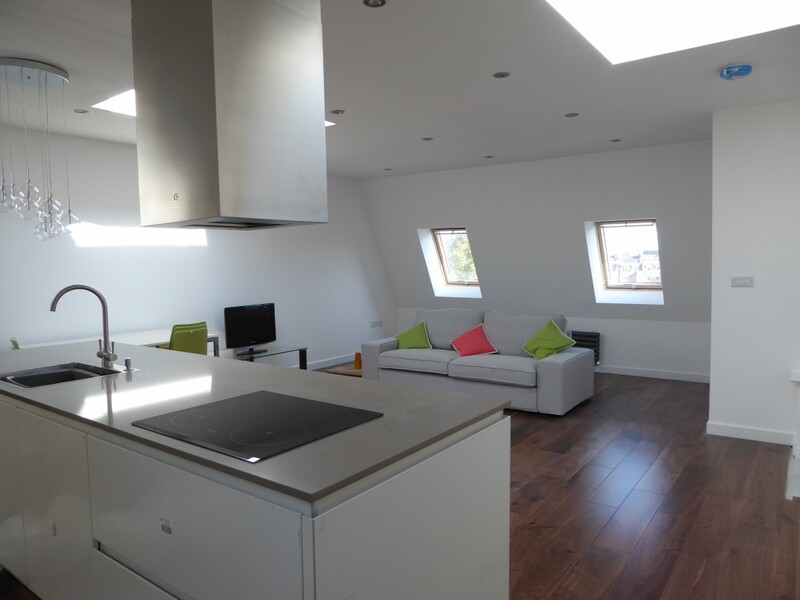 The new self-contained modern apartment to sit above the current first floor flat. 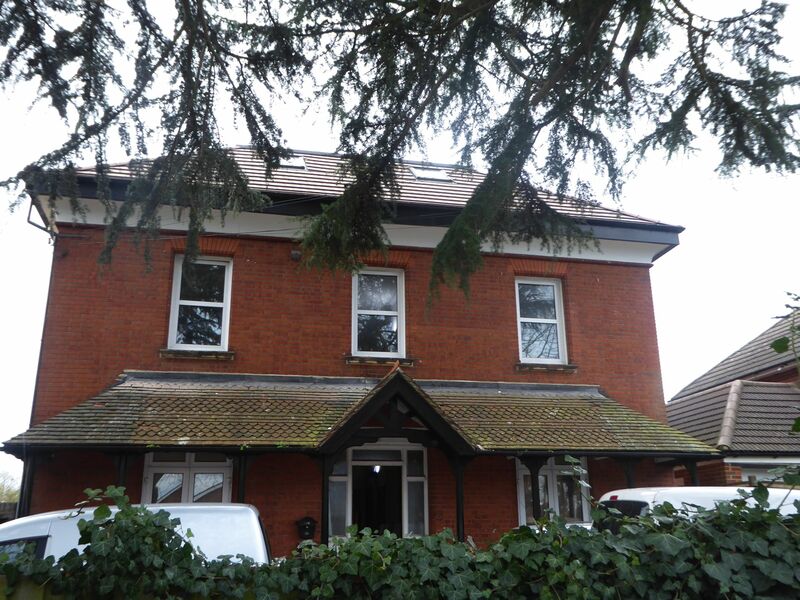 The property is one with character and the modules were to sit within the current brick, so combining old and new in this renovation. 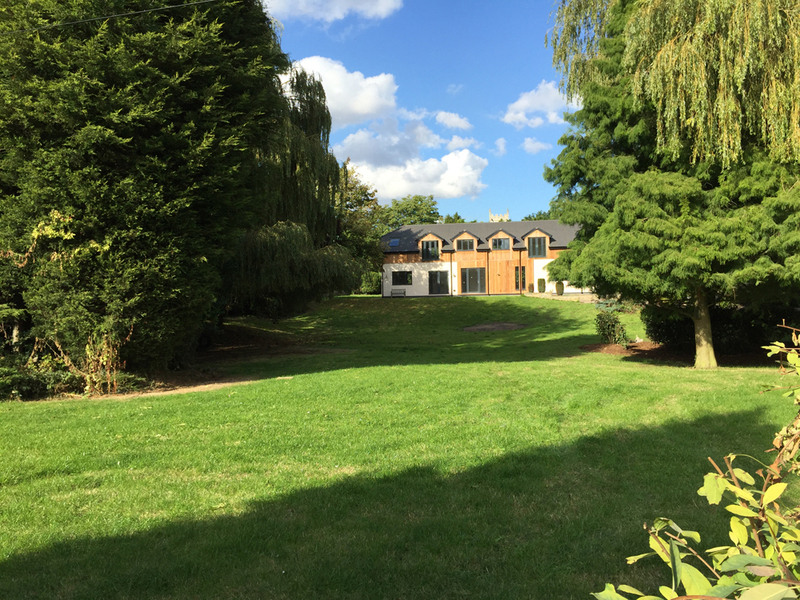 Following Moduloft’s successful planning application to add an additional level to this stunning Buckinghamshire property. 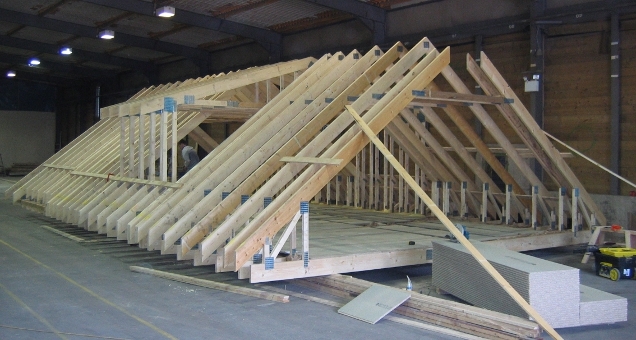 A new factory prepared roof with an increased pitch and ridge height was delivered on time and on budget. 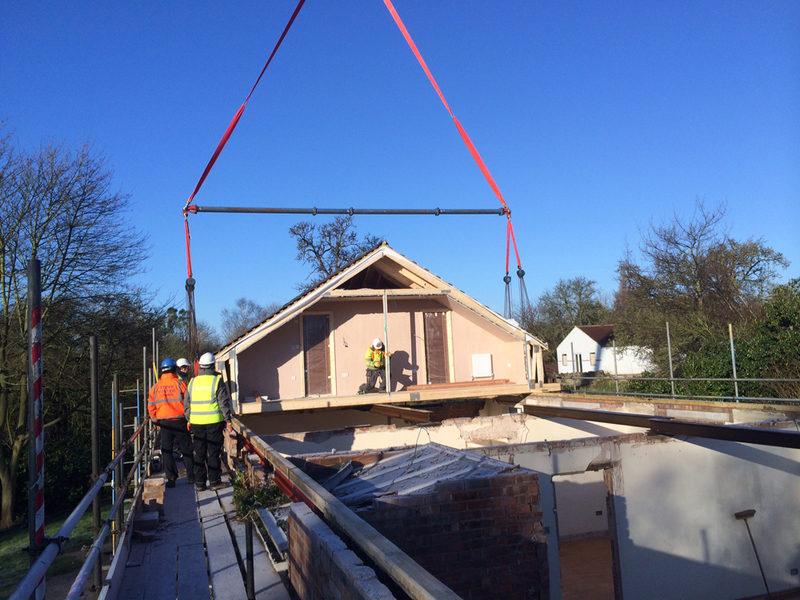 The new loft level comprised of two ensuite bedrooms each built with a walk-in wardrobe. 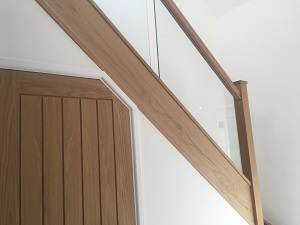 The existing oak stairs were seamlessly extended from the existing flight to the new 2nd floor level. 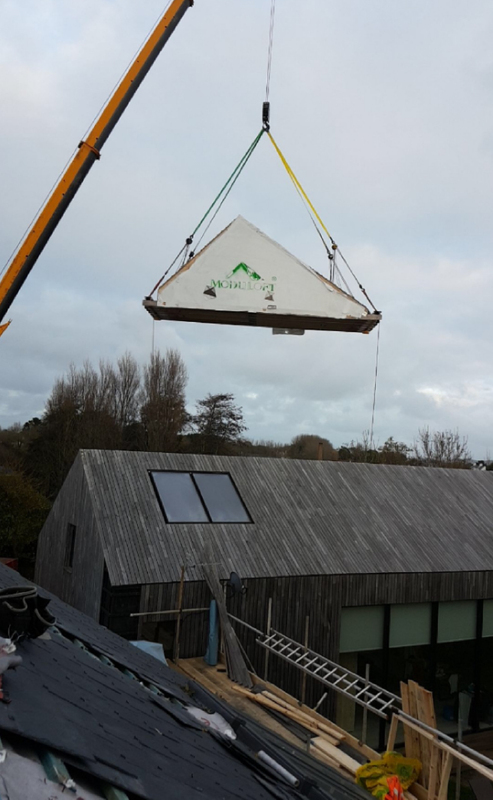 Moduloft also added a large roof light above the stairwell flooding new light down to the ground floor entrance hall. 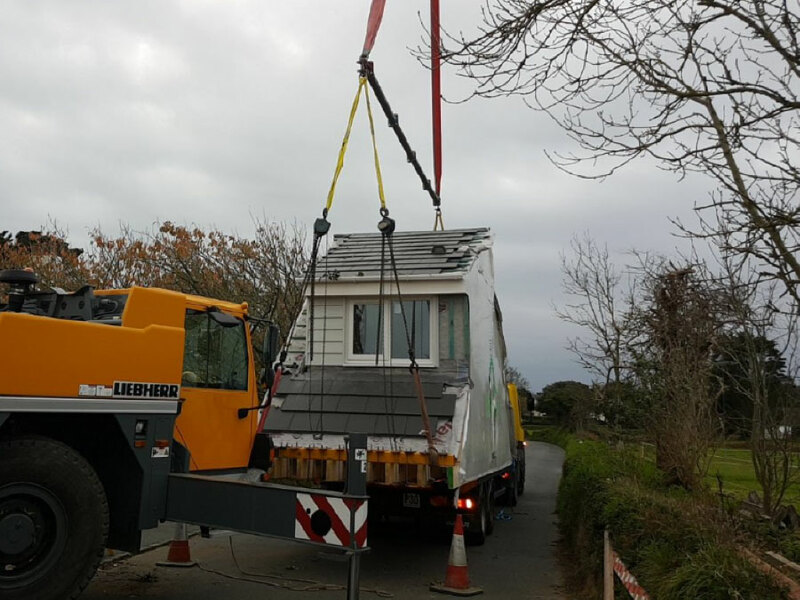 This Guernsey property was looking to gain more space and their Moduloft comprised of 2 rooms and 2 fully fitted bathrooms. 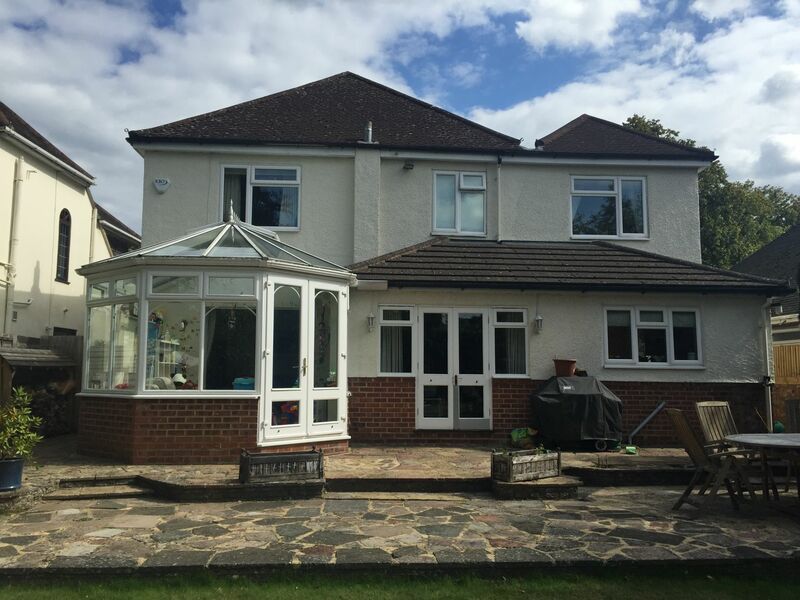 With pitched dormer windows to the front of the property and rear roof dormers plus high French doors with glass balustrade Juliet balcony. 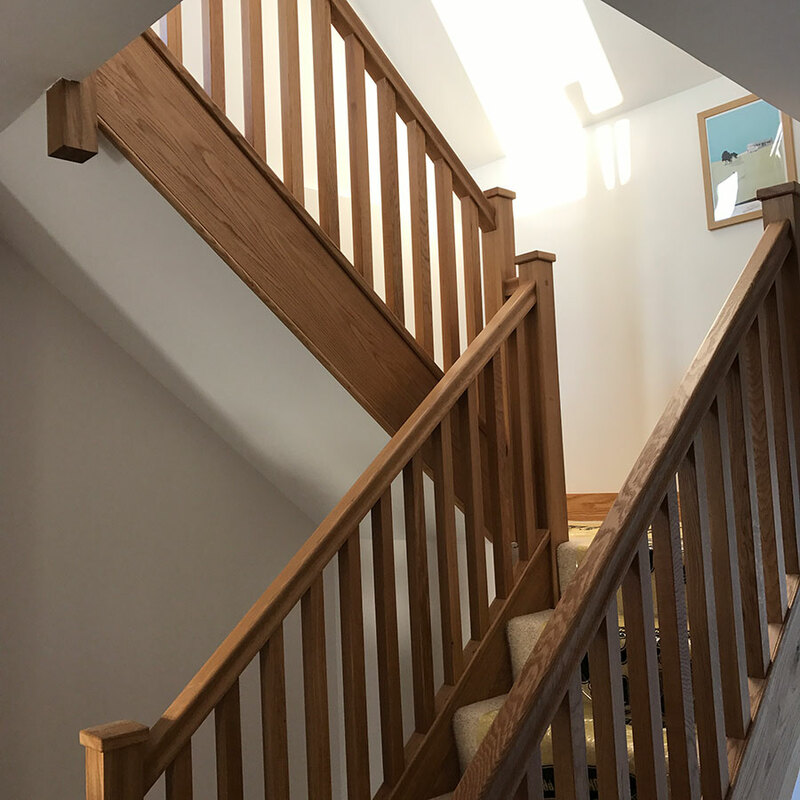 Our expert team handmade a single winding staircase with handrail, balustrade and newel post. 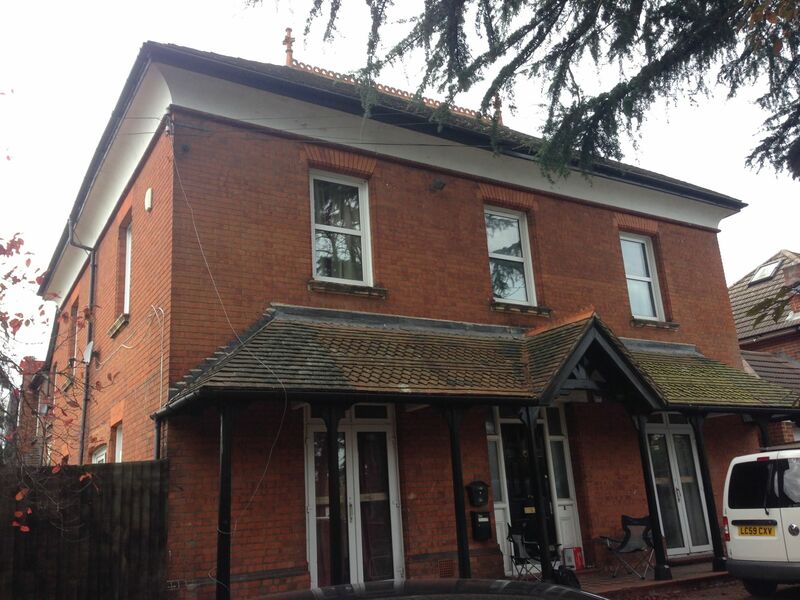 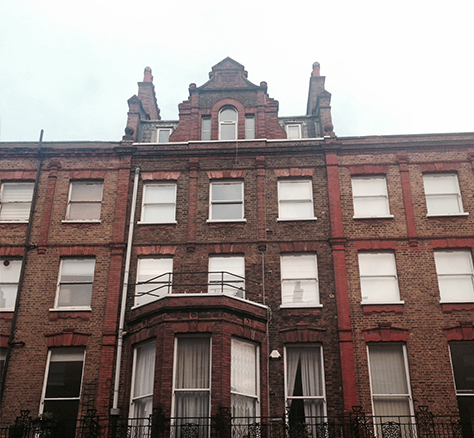 This is a first for Moduloft, to be providing conversions for 2 semi-detached properties in Wimbledon. 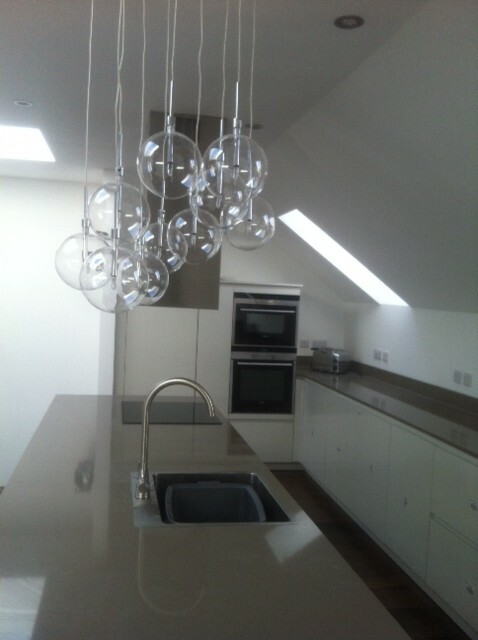 2 bespoke Modulofts were designed to achieve the space that each customer wanted to achieve. 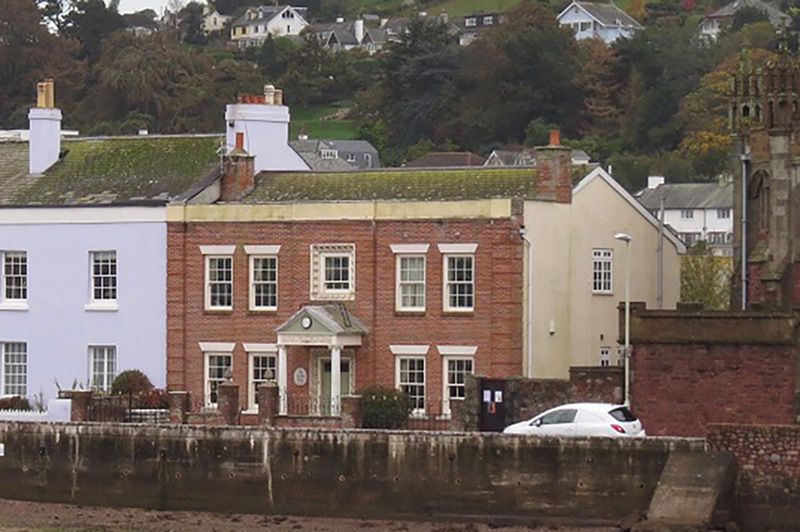 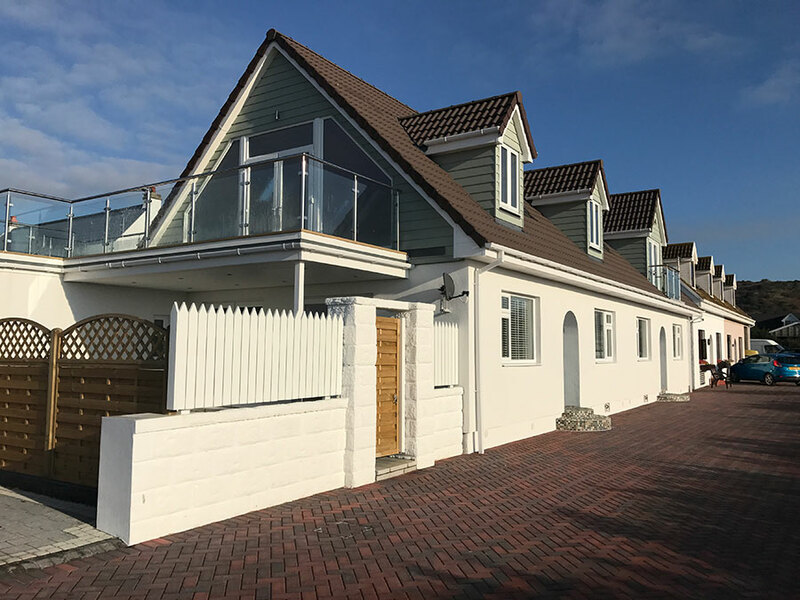 The idyllic Riverside, Teignmouth in Devon, was a fabulous place to install this bespoke Moduloft in 2017. 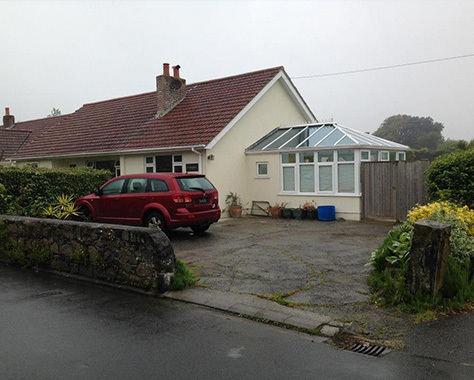 The old property with spectacular sea views was looking to extend upwards and gain 2 new bedrooms and a bathroom. 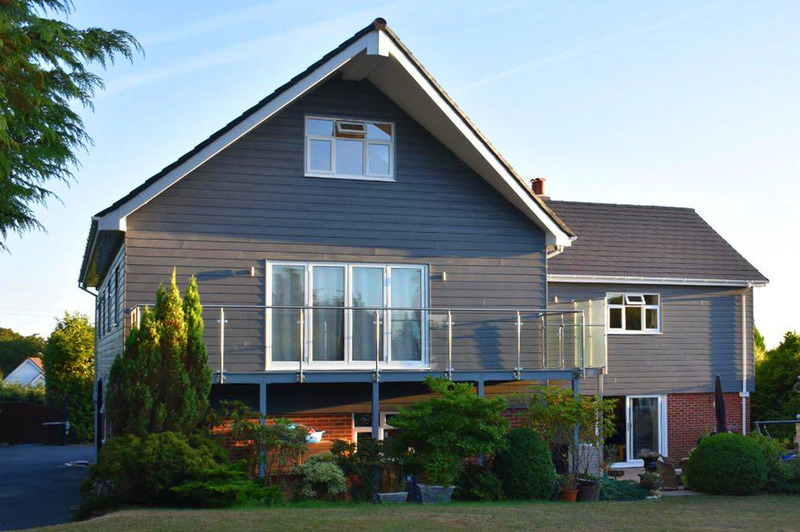 An idyllic 4 bed family home in Surrey, the owners were keen to create more space in the loft for their growing family. 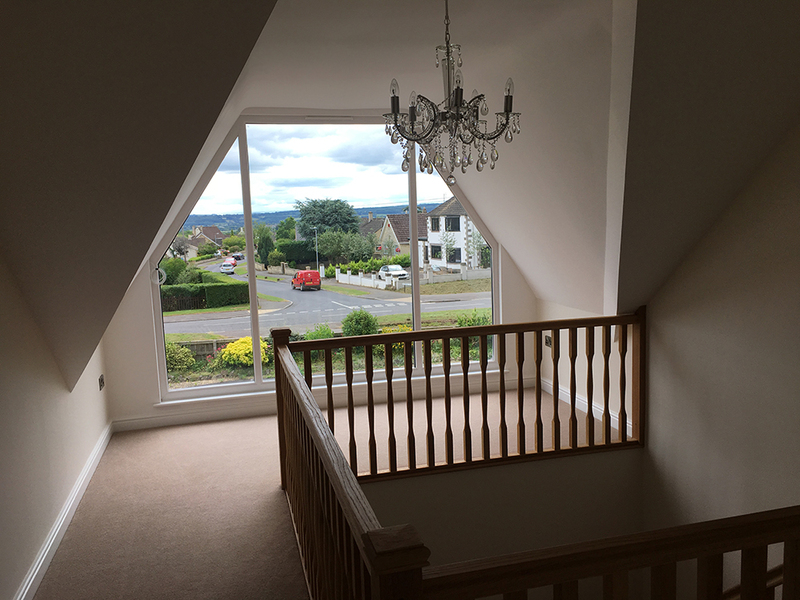 In a lovely area and perfect property for the future, they didn’t want to move house to gain space, so the solution was to extend upwards into the loft. 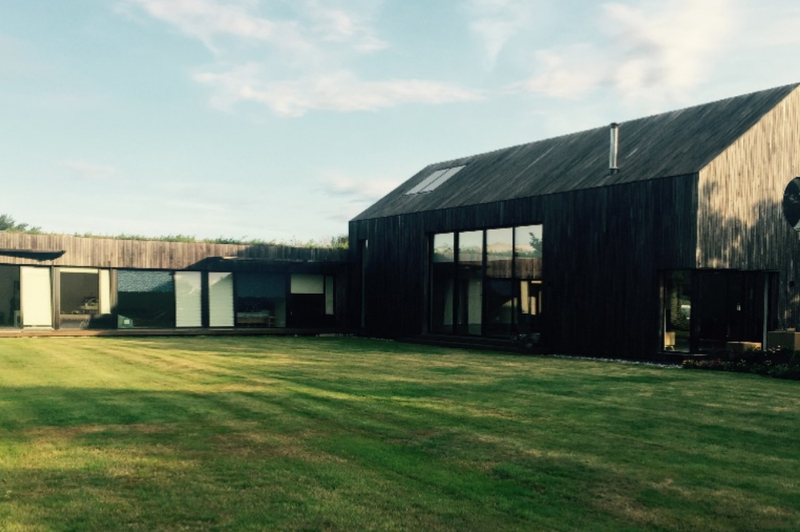 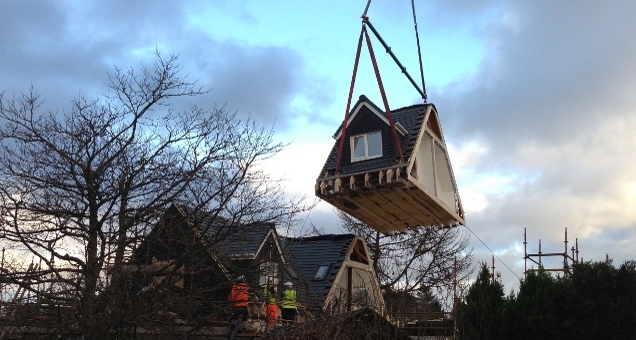 Read this customer’s viewpoint of how Moduloft was the perfect solution to this project. 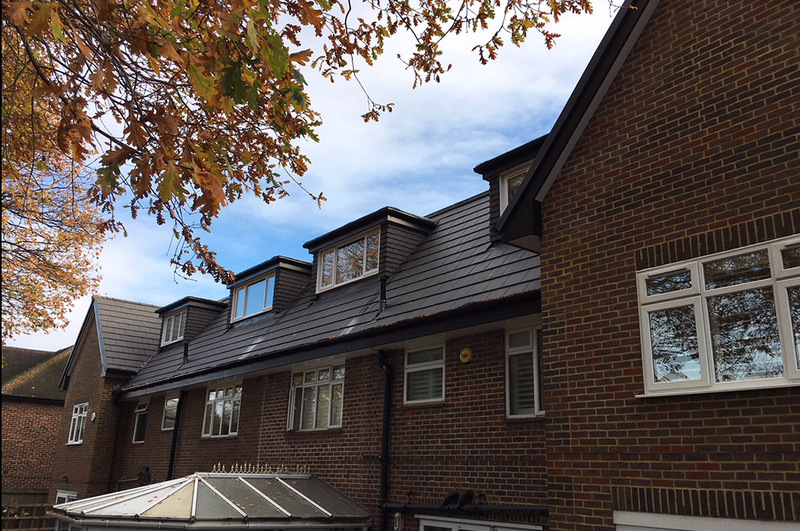 The owners of this stunning property were keen to extend into the roof space and our solution was perfect as they didn’t want major upheaval. 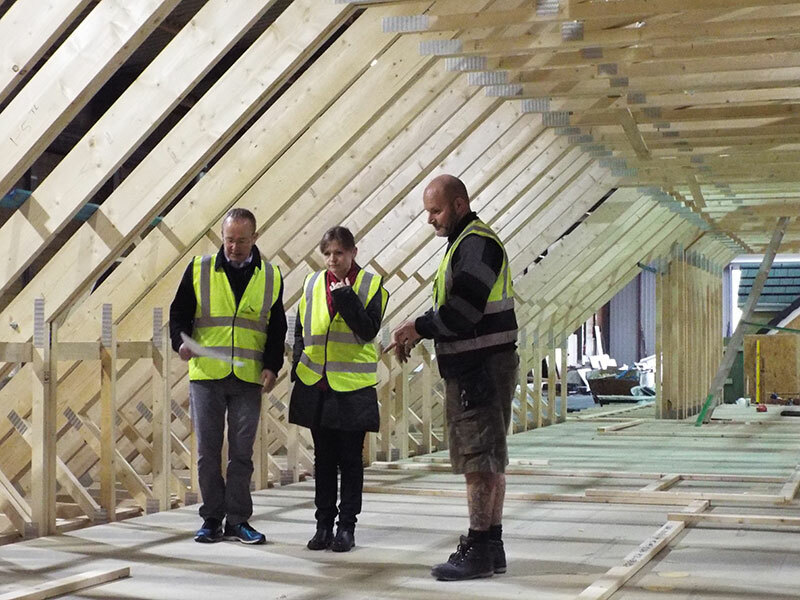 The new space was to produce a large family media room in the new loft. 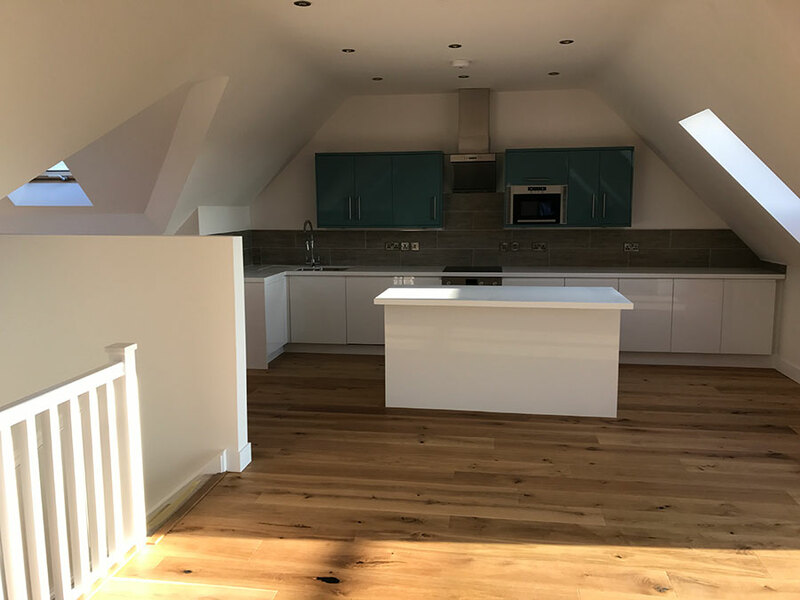 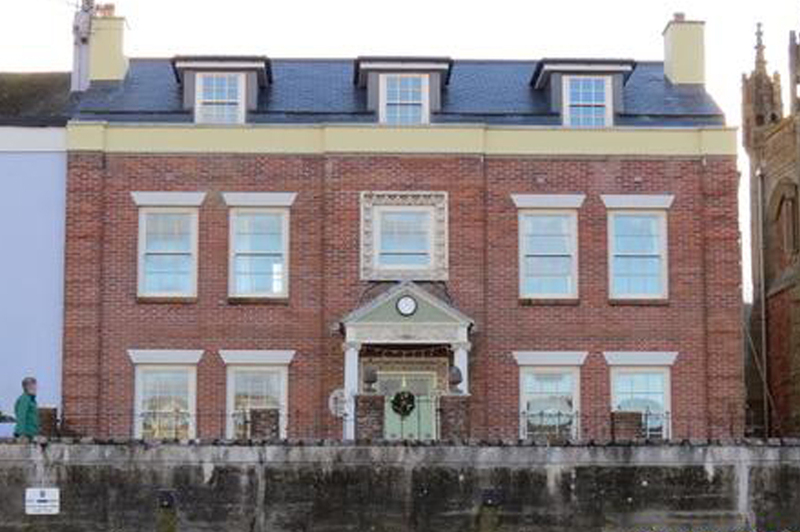 This project entailed Moduloft designing a self-contained flat that would not only add value to this amazing old property, but become a fabulous bright structured space to include 2 new rooms and a fully fitted bathroom. 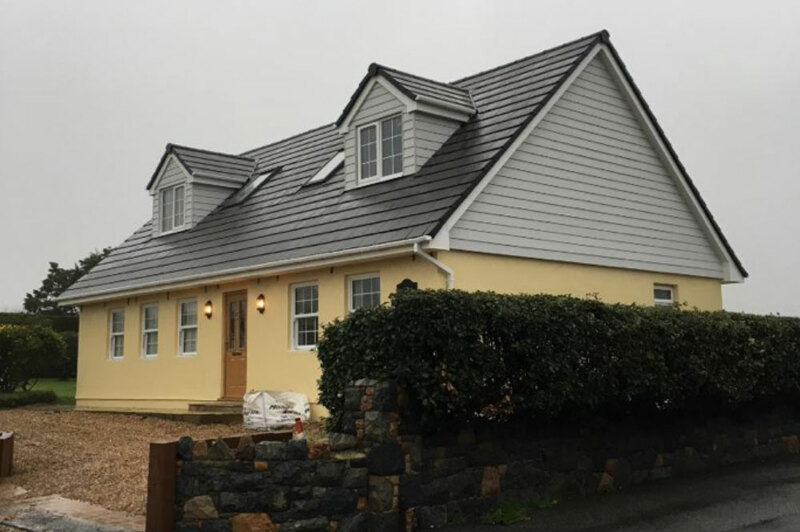 This Guernsey bungalow project was ideal for the Moduloft solution, the developers were keen to fully renovate and update this property to maximise its potential and become a luxurious home in this perfect location. 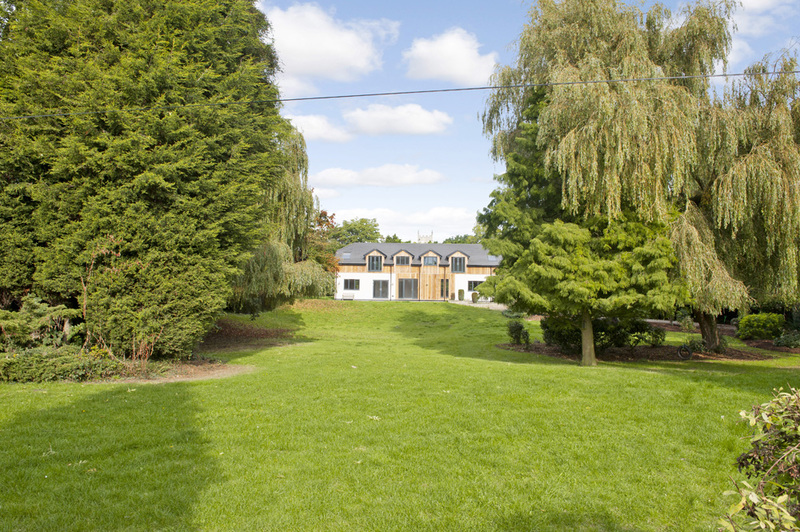 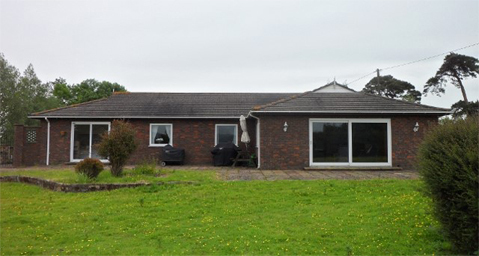 A traditional detached bungalow with a flat plot set in three and a half acres, the owners purchased this much sought after property with a clear view to make the most of the space and create a larger house. 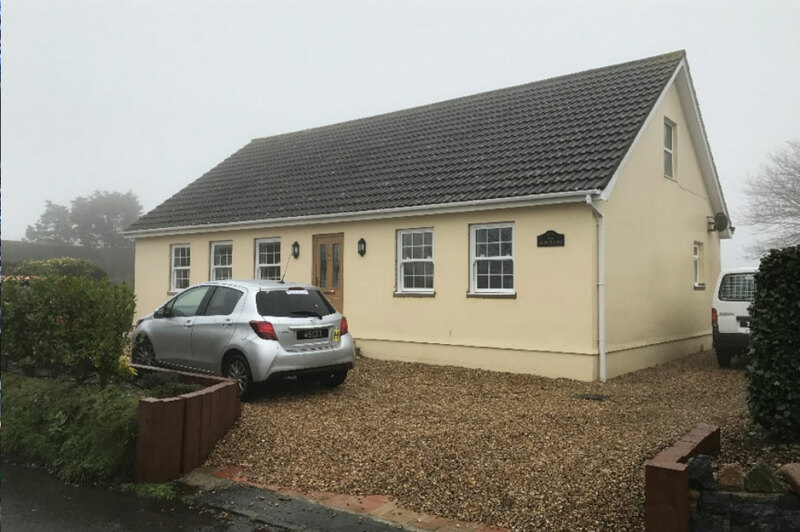 Shortly after purchasing this stunning property in Chippenham they could see the potential to extend upwards and started to look at plans for a regular loft conversion, however this would be too low. 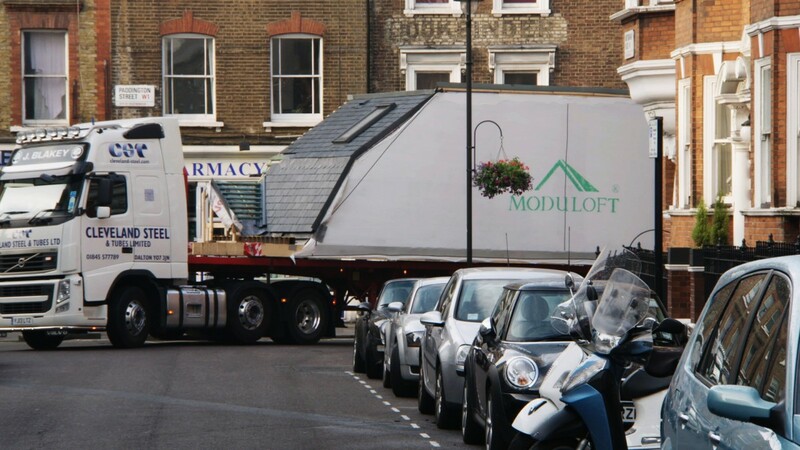 Back to the drawing board and time browsing on line to see if there was a roof raise option and they found Moduloft. 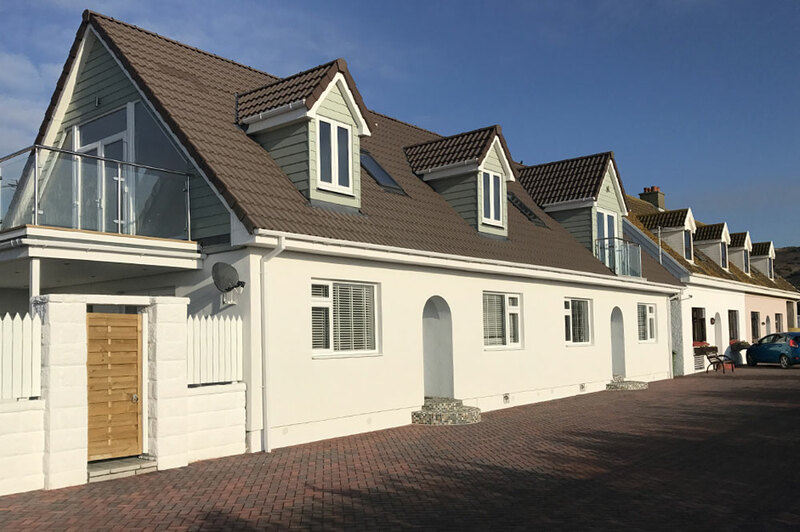 This Jersey property renovation was ideal for the Moduloft team, in a perfect location with a new roof that opened up the space and provided 2 large rooms, an open plan kitchen and living area to fully embrace the perfect sea views. 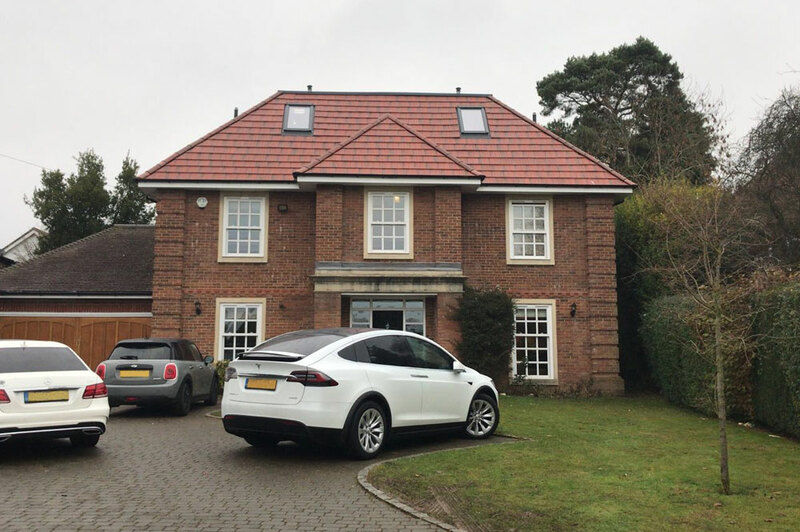 Our structure and approach was to help the customer achieve the new space and a renovation that would totally transform the look of this property. 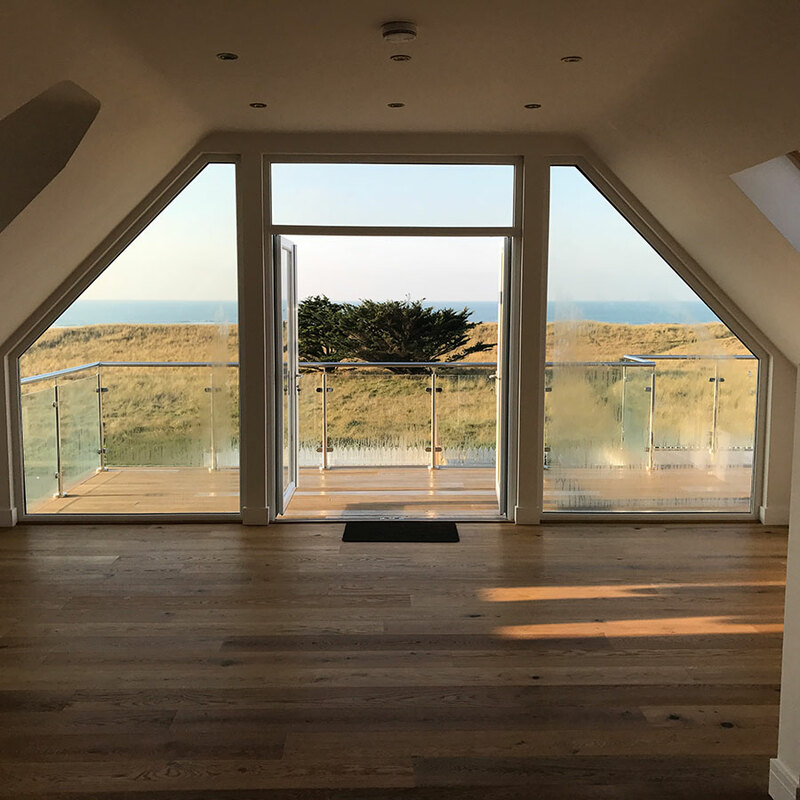 The new upstairs space was designed to embrace the location and with a Juliet balcony the views over the ocean are just idyllic. 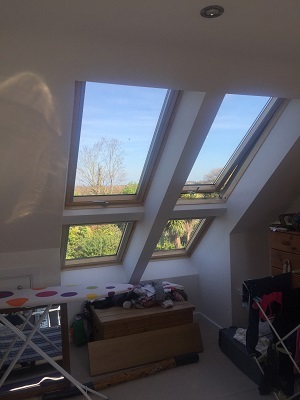 With 3 pitched dormer windows the new space has the light and a double kite staircase to complete the internal connection between the floors. 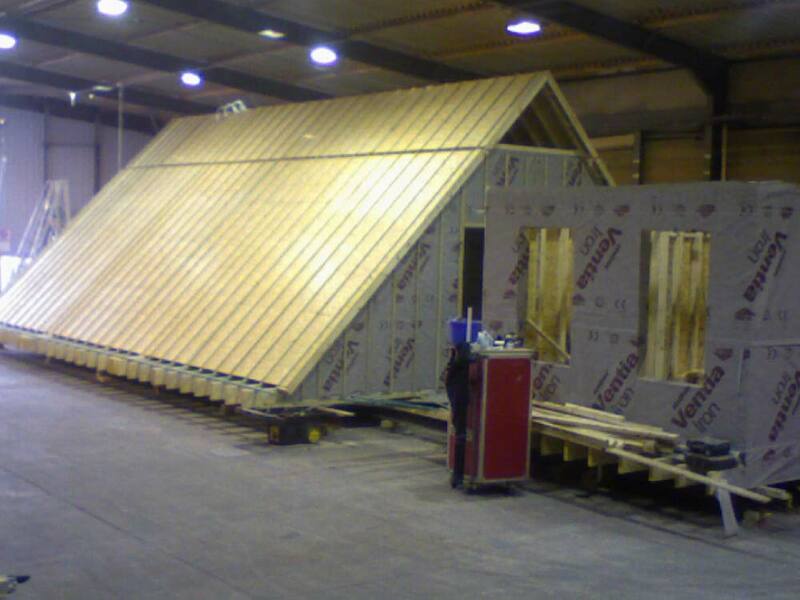 The Moduloft came with all electrics and heating prepared to simply install in days when on site. 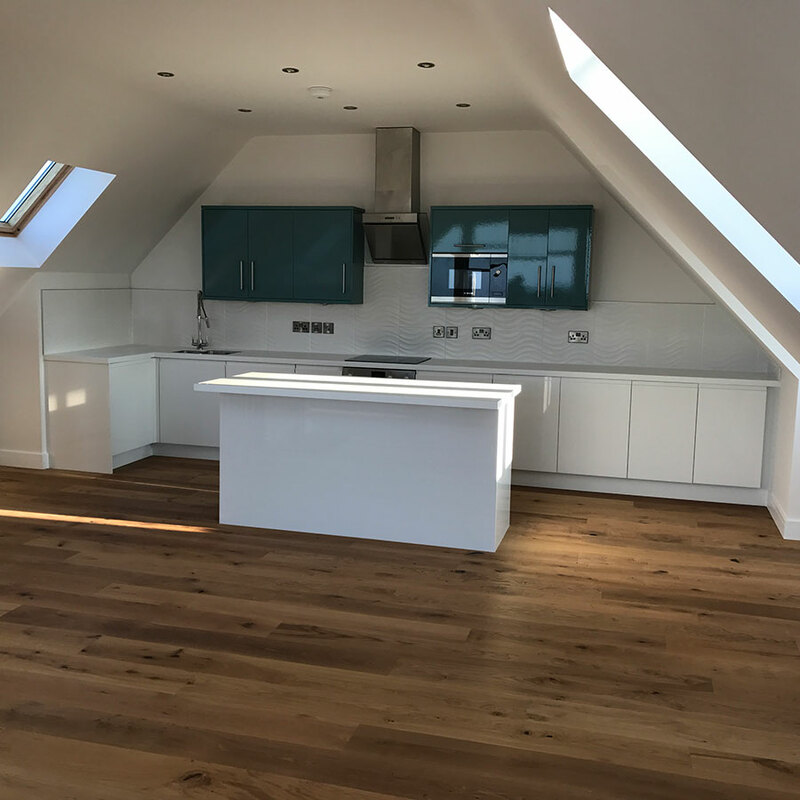 The new open plan kitchen embraces the upstairs of this property and has delivered a fantastic and fresh feel for this beautifully located house. 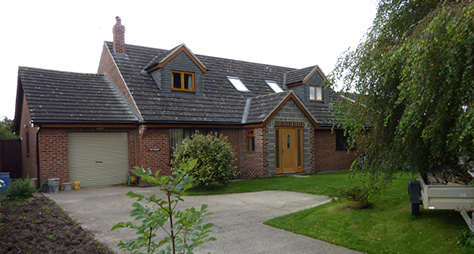 A family that loved their house but were crying out for more space to enjoy with the growing family. 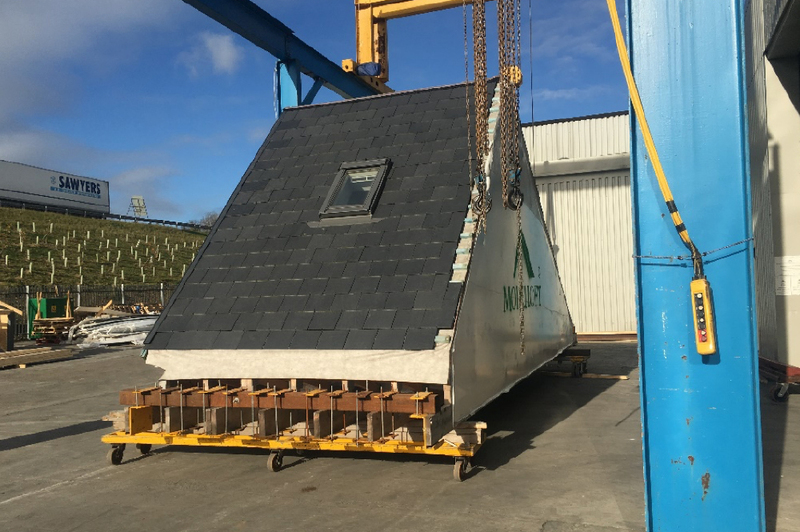 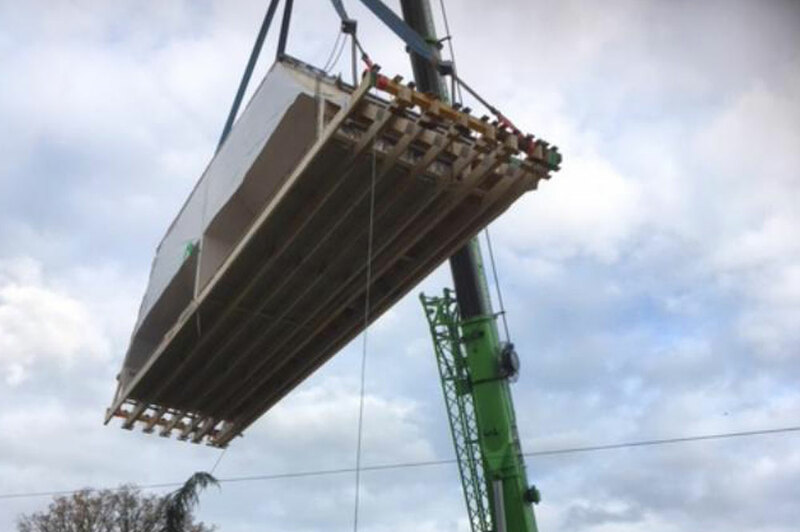 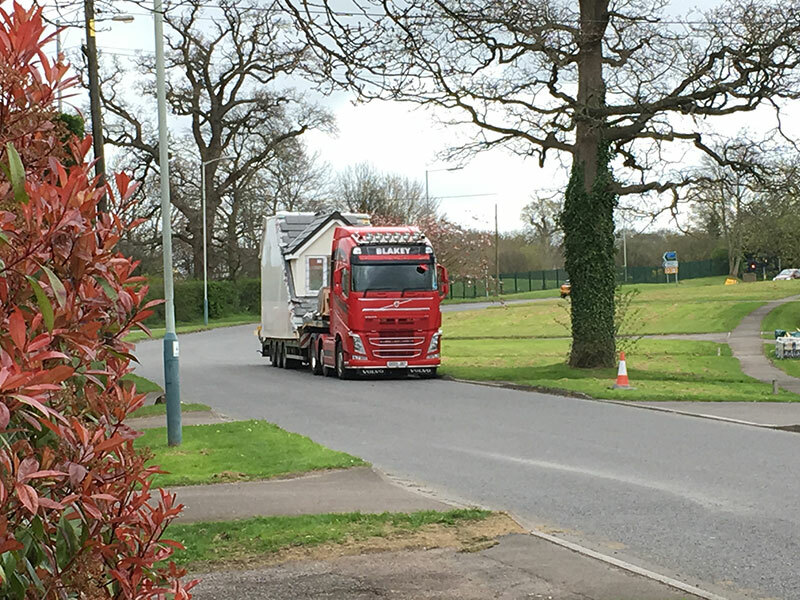 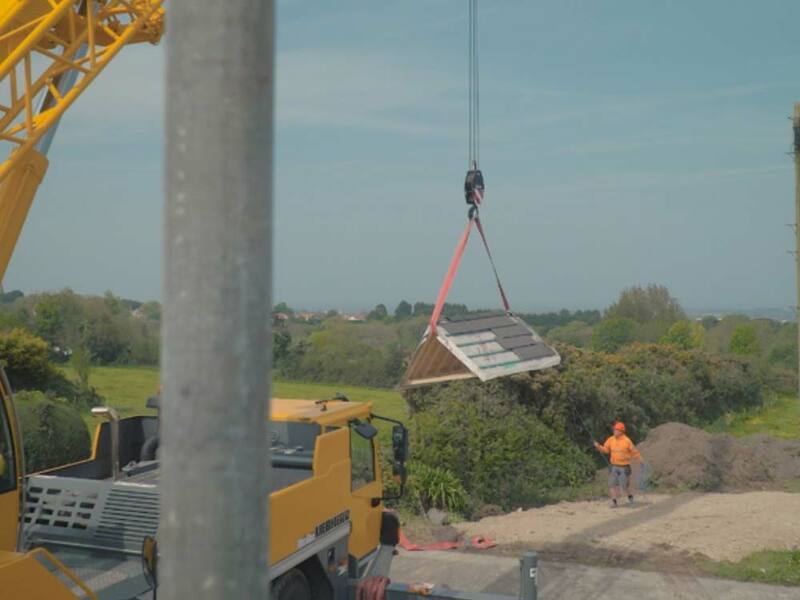 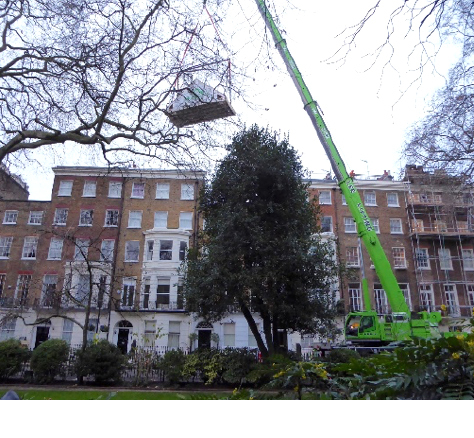 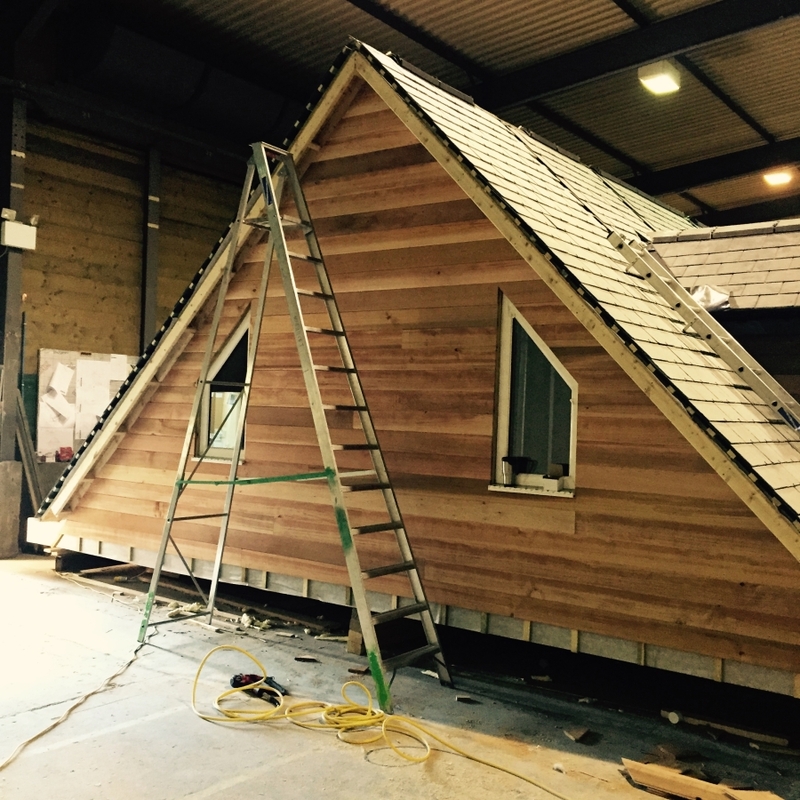 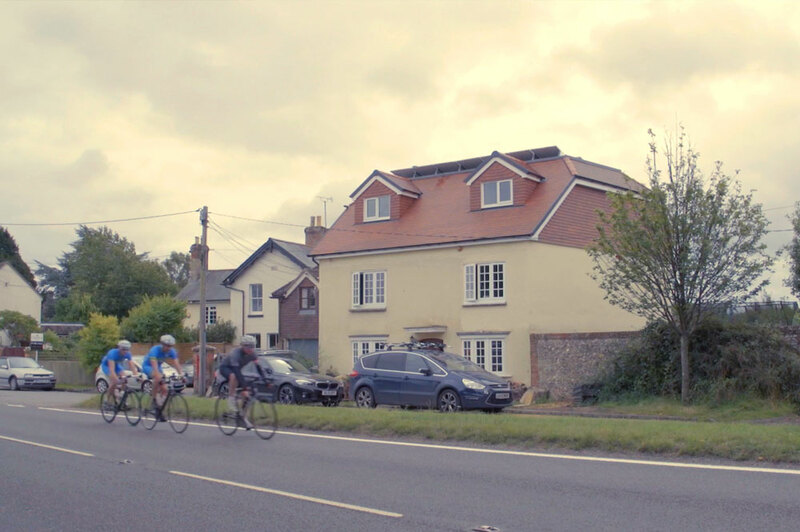 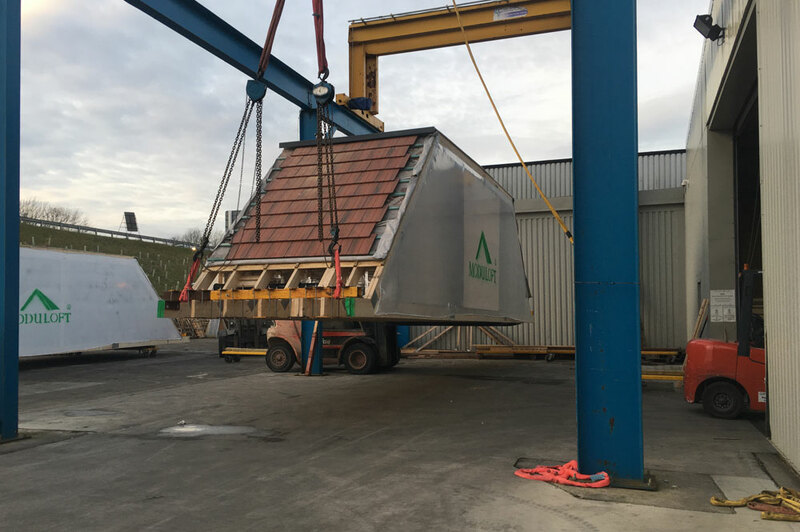 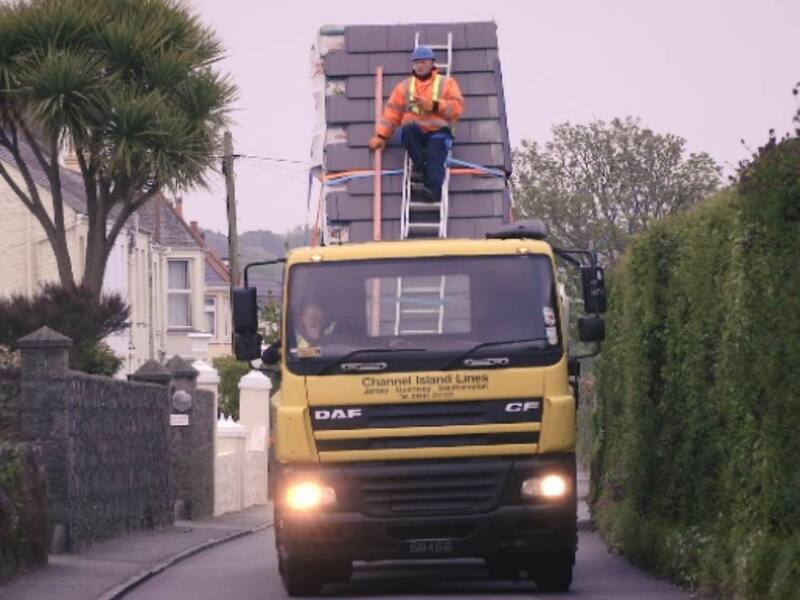 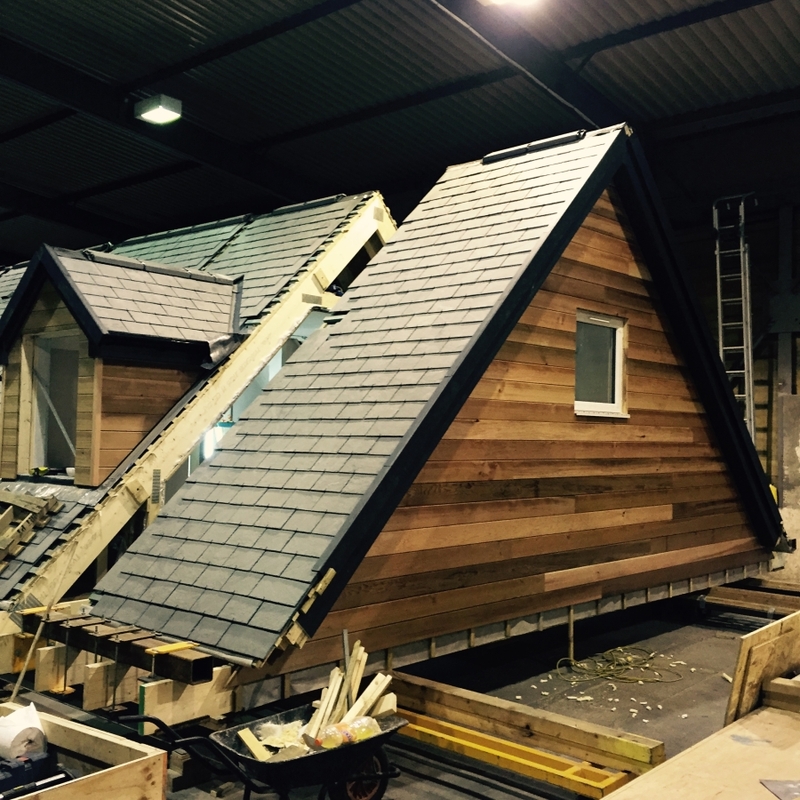 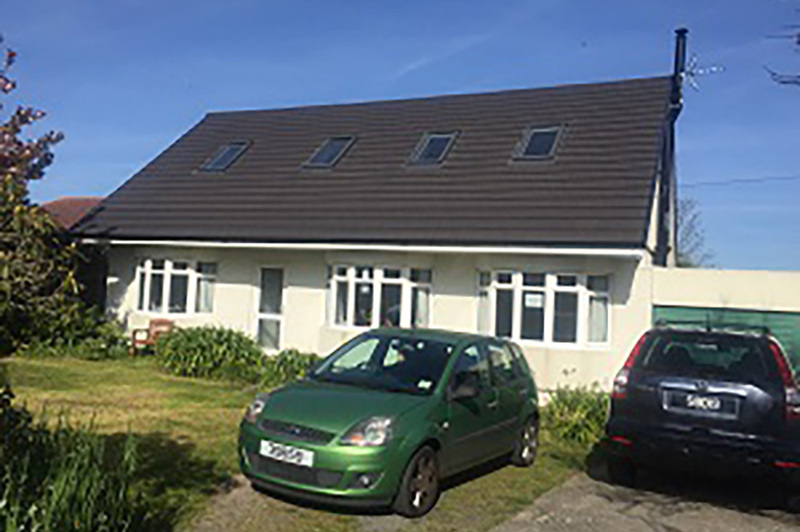 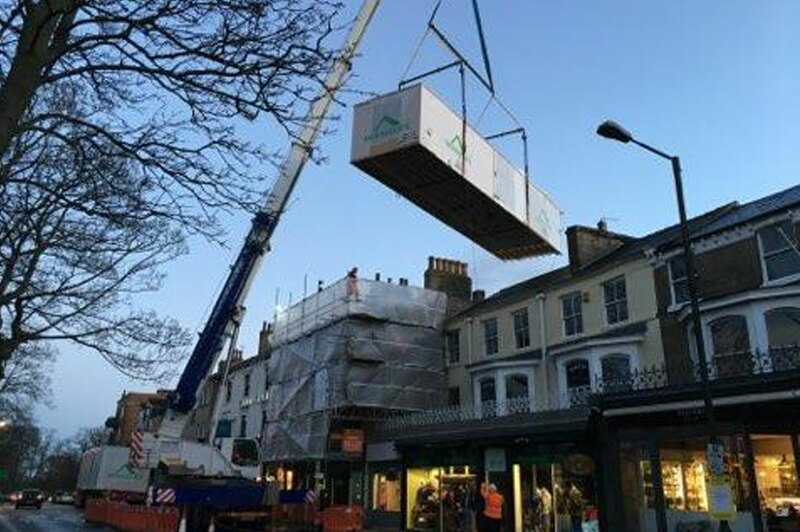 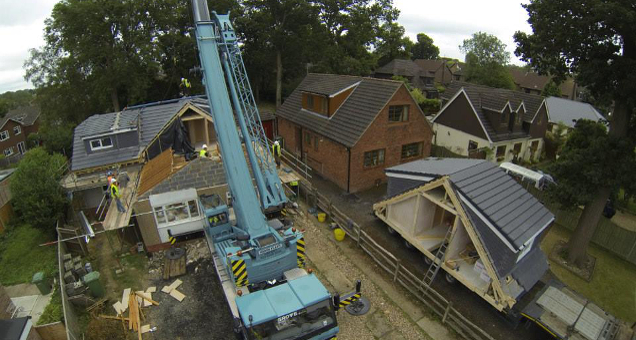 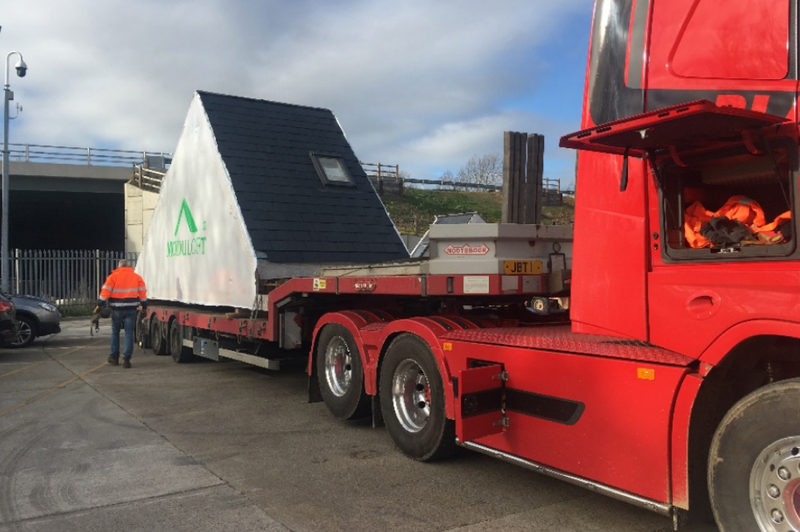 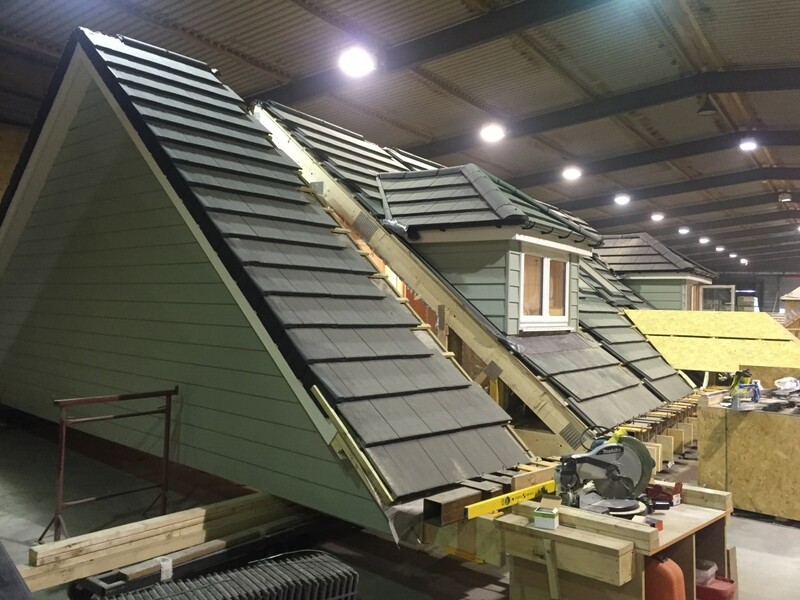 They were keen to avoid lots of builders on site for months and found Moduloft to be the perfect solution to get their new roof space installed in weeks. 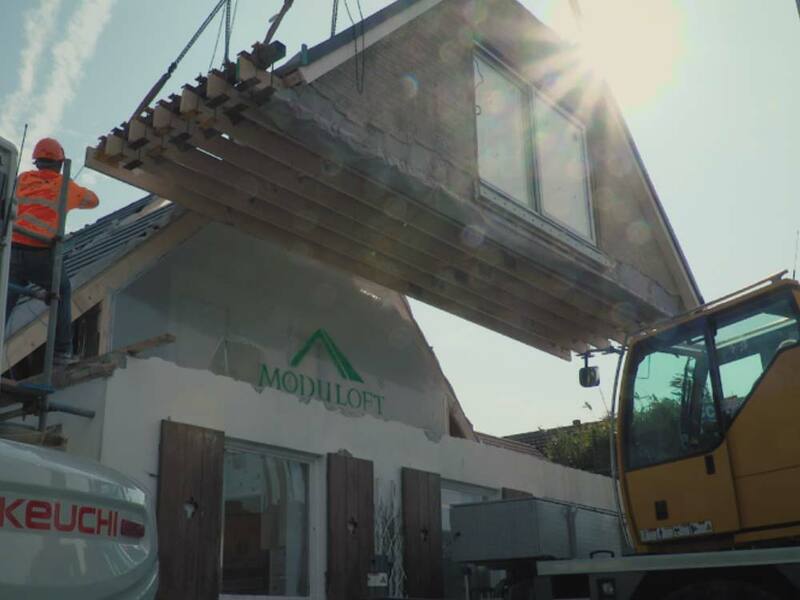 The project was captured on video from start to finish so you can truly get a feel for how a Moduloft project and the team work closely with the family to deliver their new space. 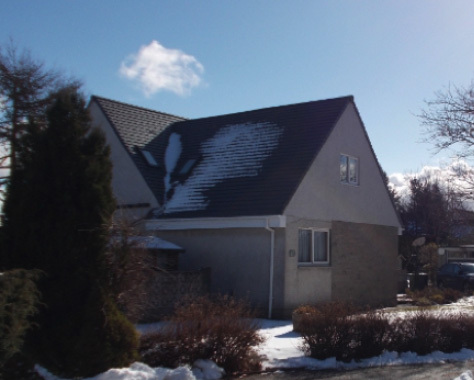 This extensive renovation project saw a 1950s standard 3 bedroom bungalow space was 2000 sq ft. 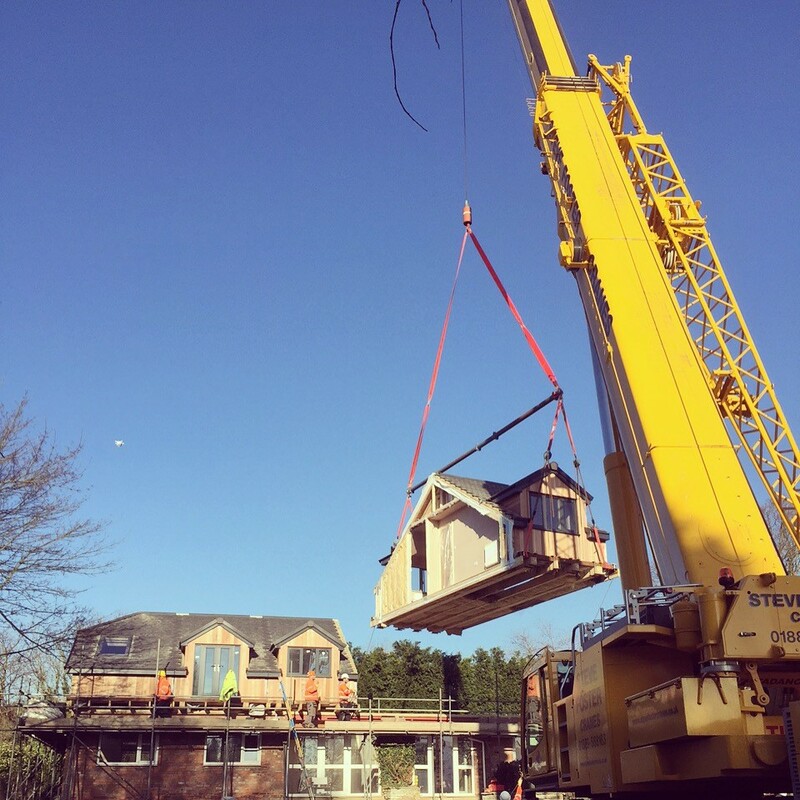 The property was dated and the owners had a vision to develop and raise the height to build a Moduloft that is 4000 sq feet with 4 bedroom and 4 bathroom. 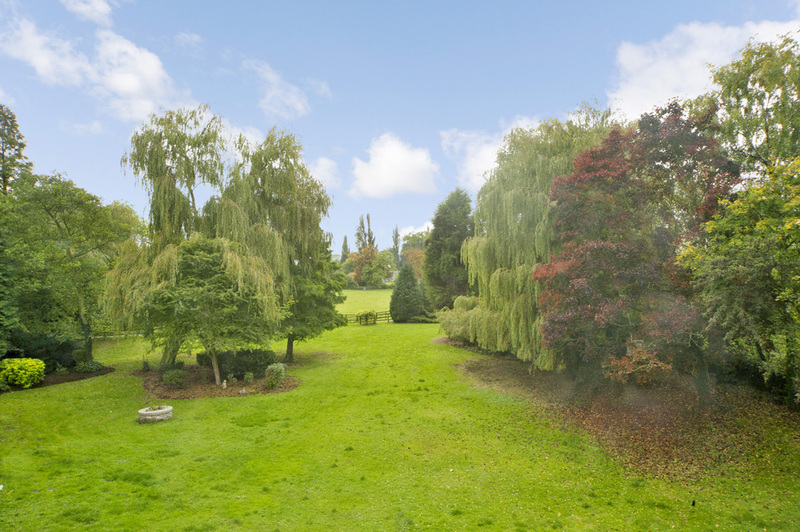 The property based in leafy North Yorkshire Village of Monk Fryston had amazing gardens around the property and so any renovation had the potential to deliver an outstanding large family house in the heart of a perfect village setting. 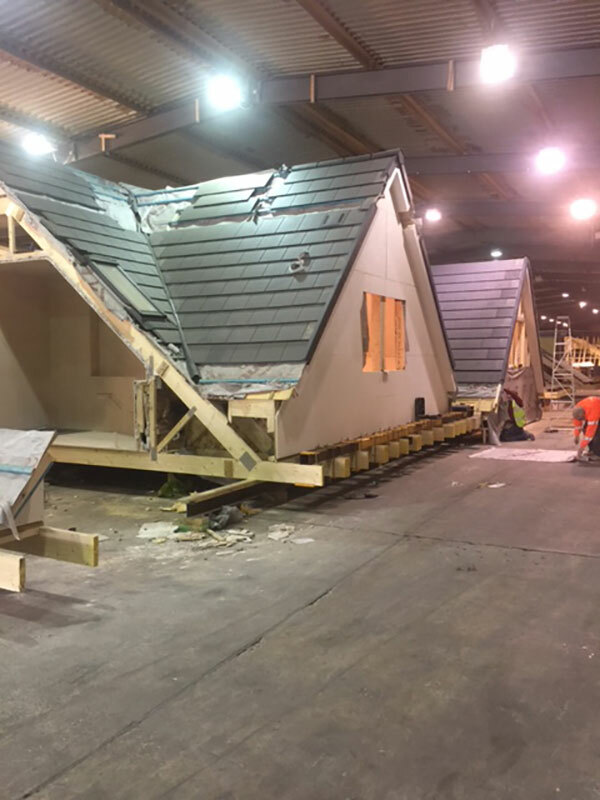 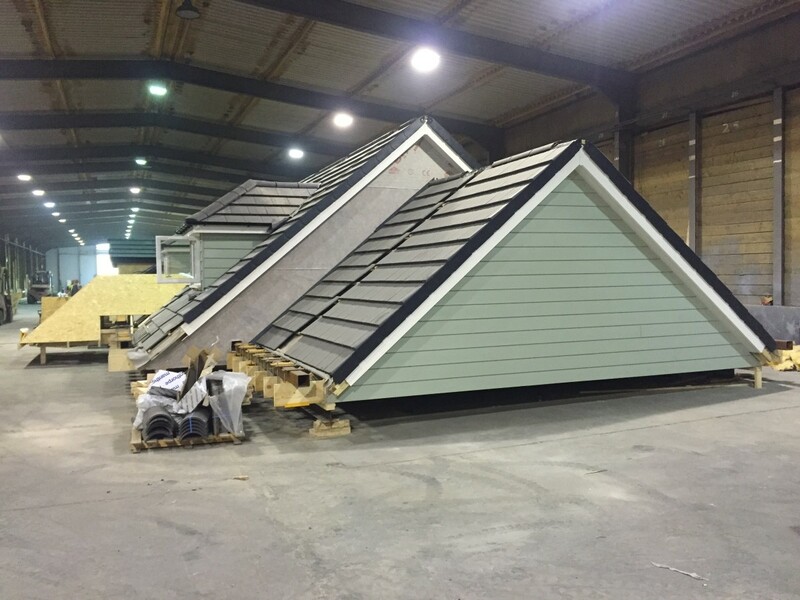 Moduloft provided the perfect way of building the new roof space with all rooms and bathrooms in place during build at the factory and then lifted into place in 1 day and complete the install in 2 weeks. 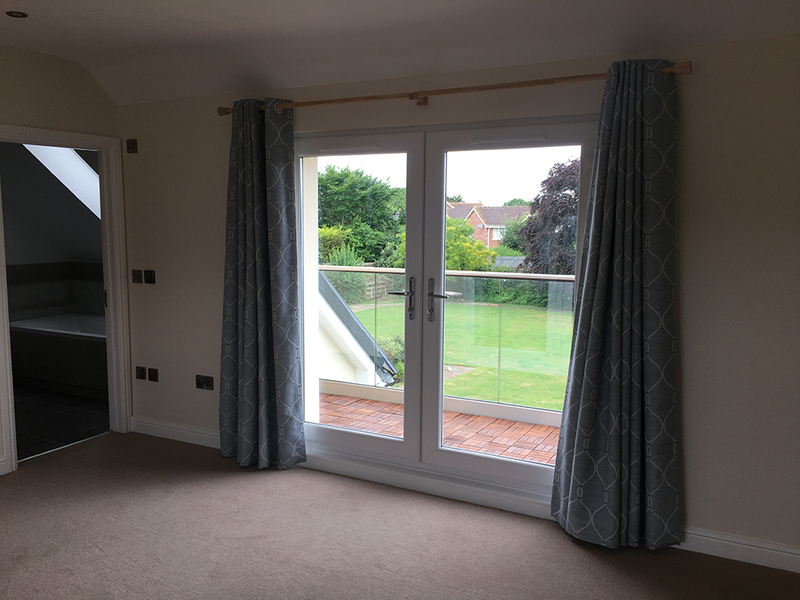 The property today is so eye-catching and demonstrates how our solution can be designed to lift a property and transform into the perfect living space. 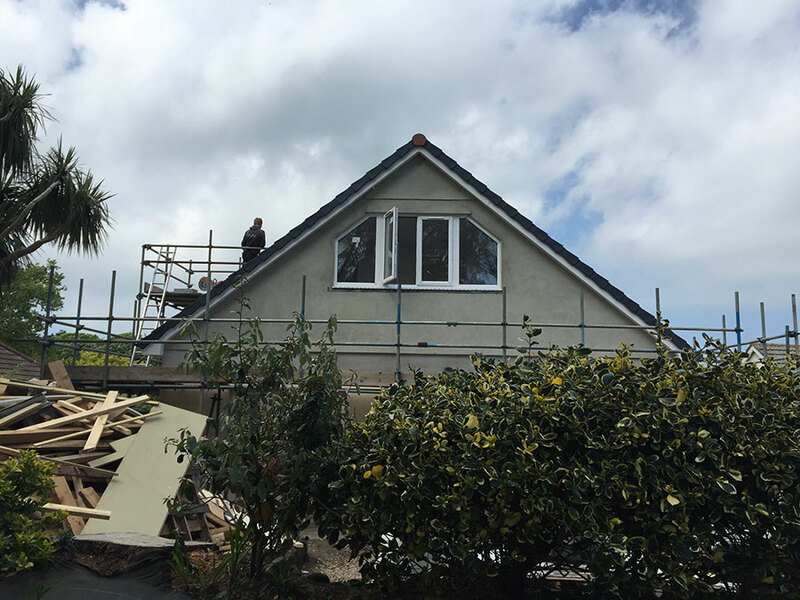 The family were keen to extend their bungalow in Guernsey and Moduloft was perfect to raise the height and create the living space with a gable end loft. 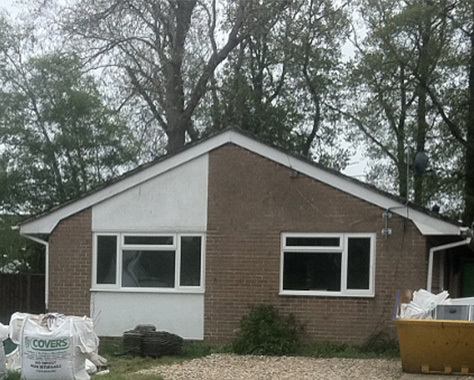 We transformed this bungalow with 2 additional bedrooms and a separate bathroom in the loft space. 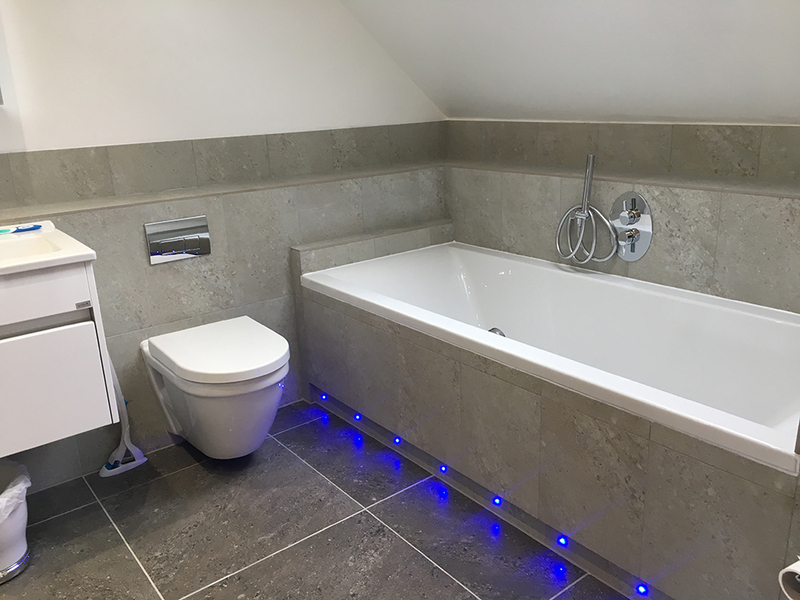 A focus for us is to do as much as we can in the factory before we deliver, we fully fitted the new bathroom so that it was delivered complete. 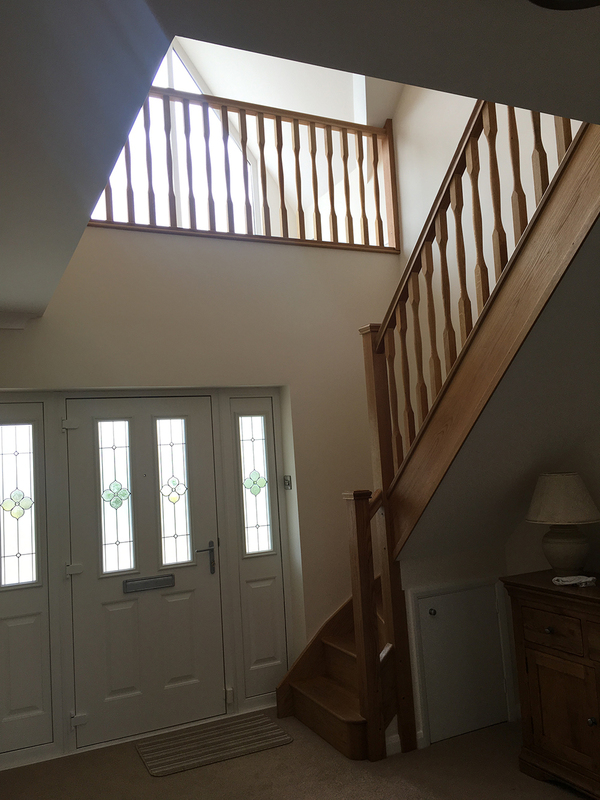 As part of our work at the property to complete the install we removed a wall to allow for the new staircase which was finished in the chosen style. 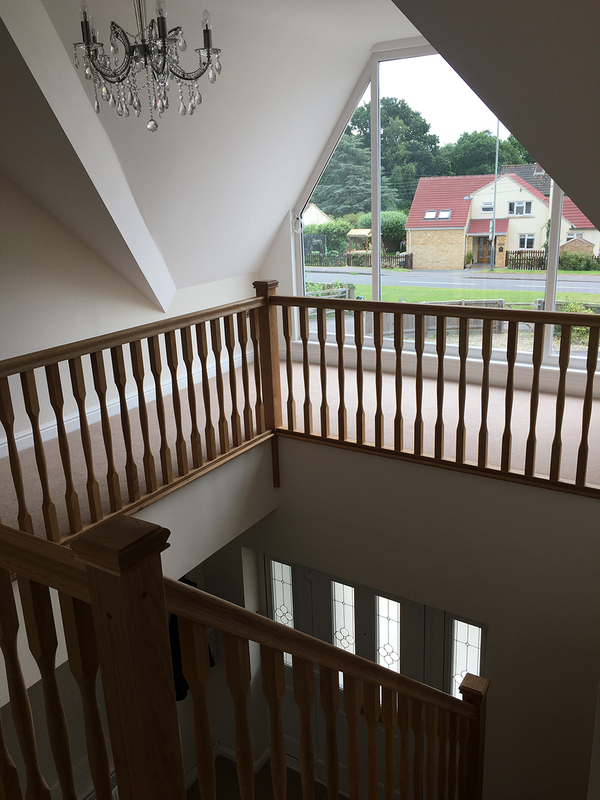 The new space also allowed for storage doors in the eaves so the family has plenty of hidden space. 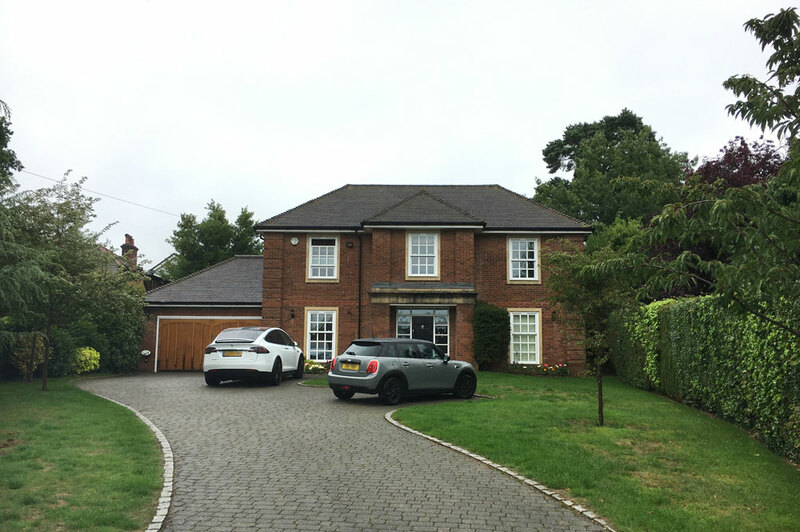 The property transformation is loved by the owners, who now feel they have the perfect home for their growing family. 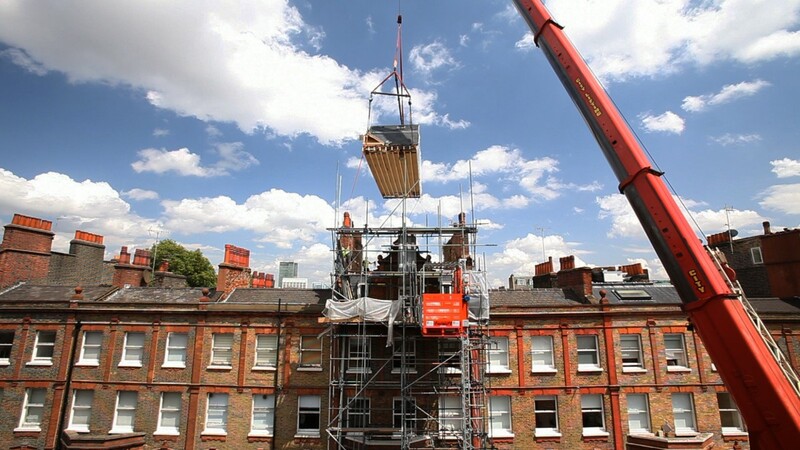 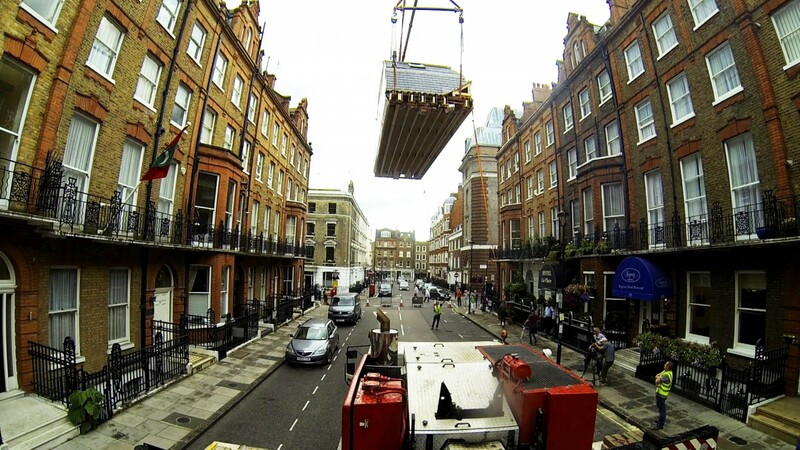 A central London flat 4 storeys up. 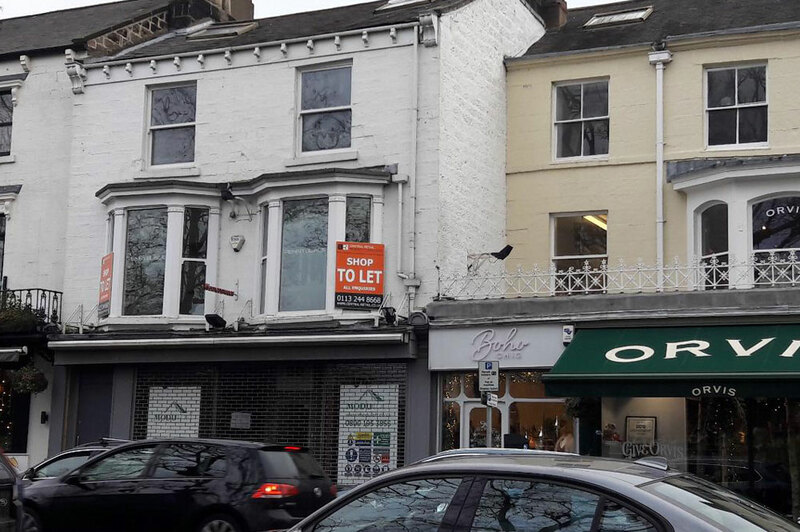 The property owners were keen to extend and create more space. 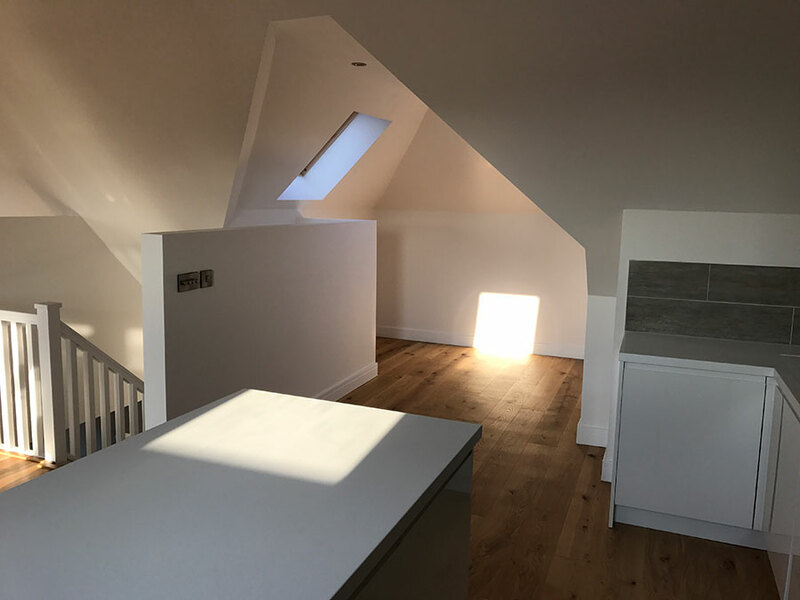 The Moduloft solution was perfect, as we could produce extended room space at sky level and turned this 2 bedroom flat into a 2 bedroom duplex with new fully fitted kitchen. 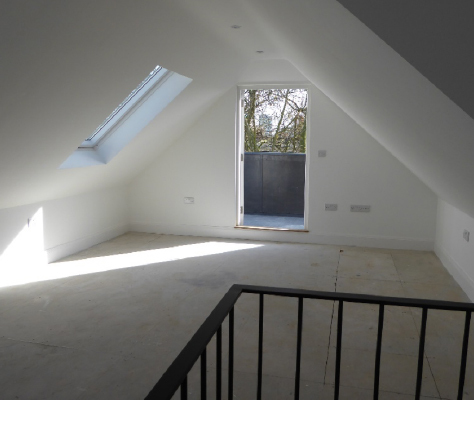 The new space has been designed to suit central London and with perfect velux windows to capture lights and views over the city, creating the ultimate modern living space. 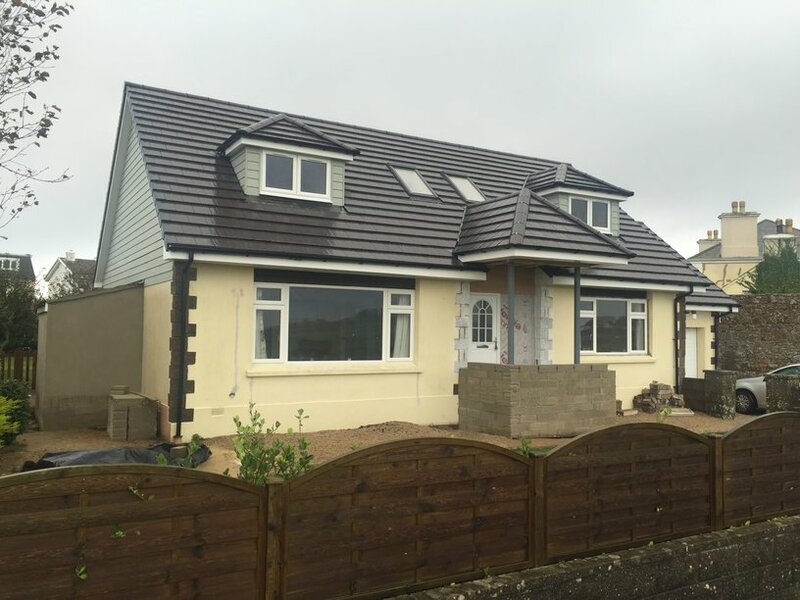 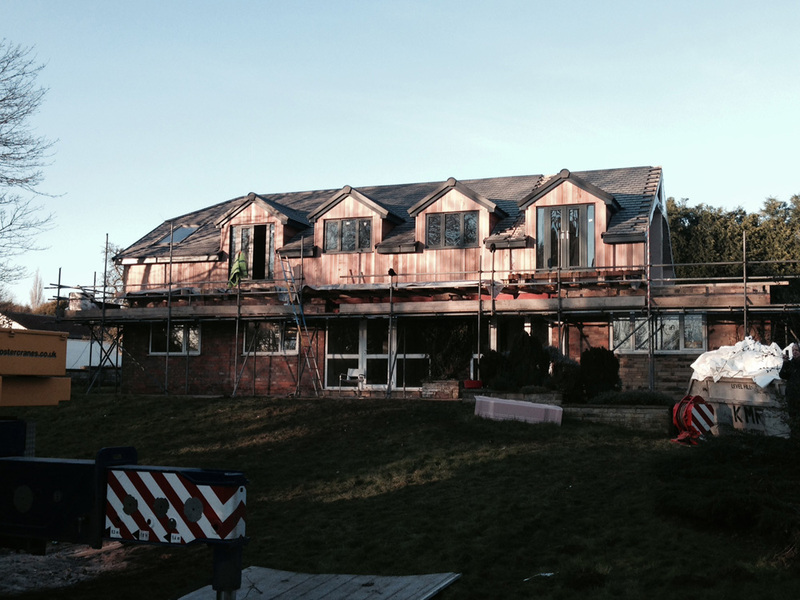 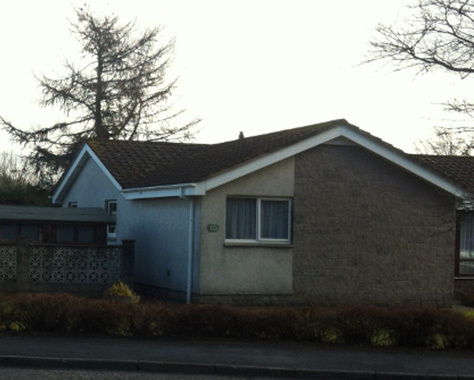 The project brief was to transform this traditional 2 bedroom bungalow into a 4 bedroom family home. 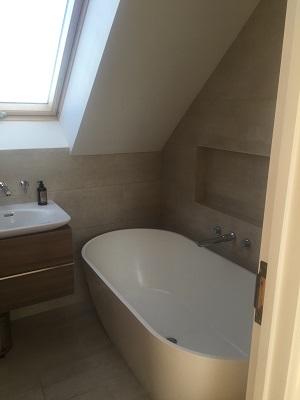 We created 2 double bedrooms and ensuite bathroom in the new loft space. 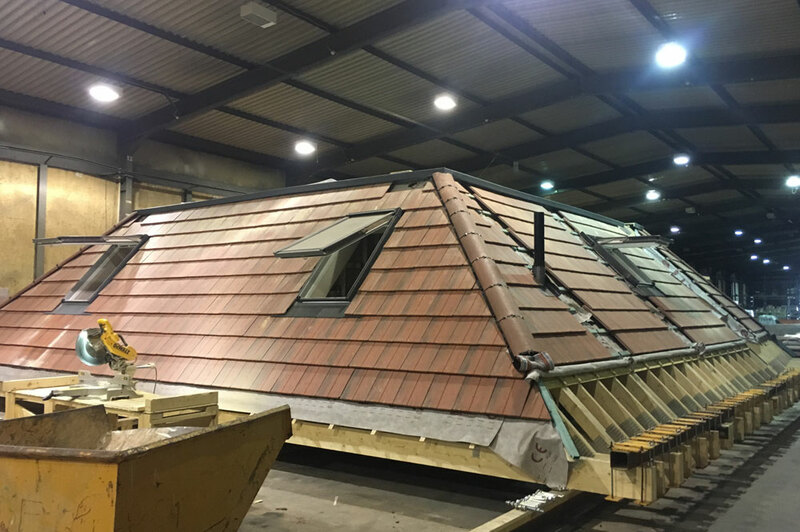 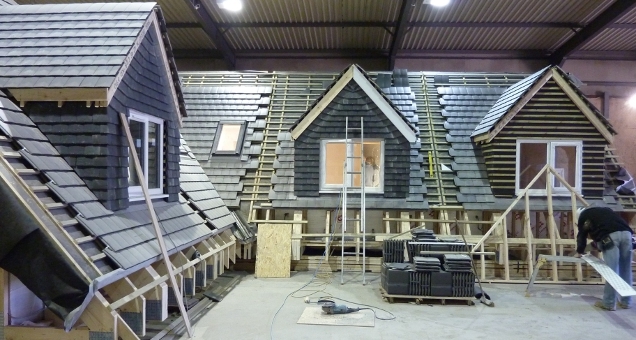 With very specific design and finish to the new roof space in terms of roof tiles – shows that our tailor-made solution means our design team work hard to deliver everyone’s unique ideas. 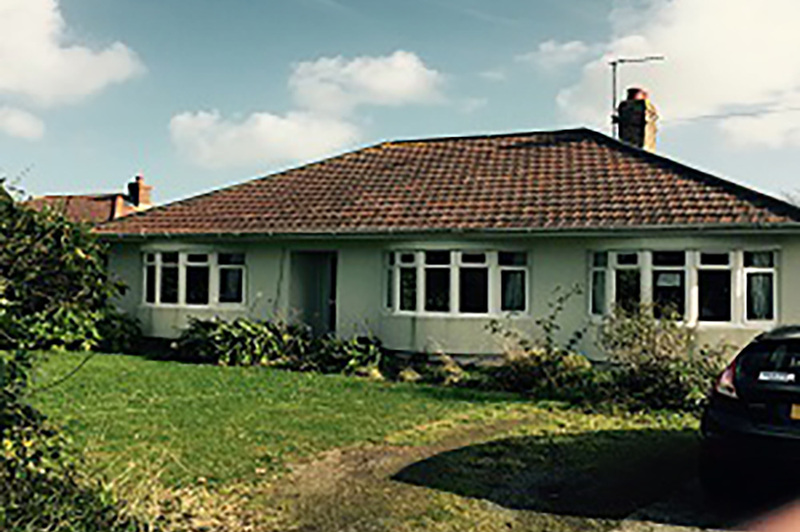 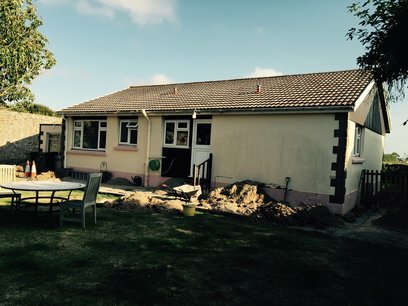 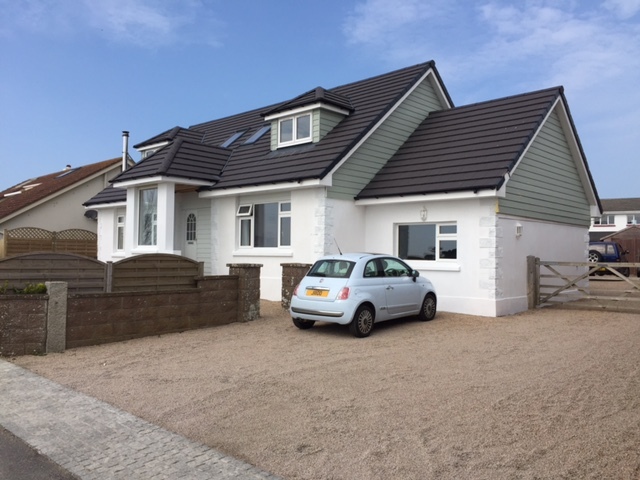 We transformed a traditional 2 bedroom bungalow in Jersey. 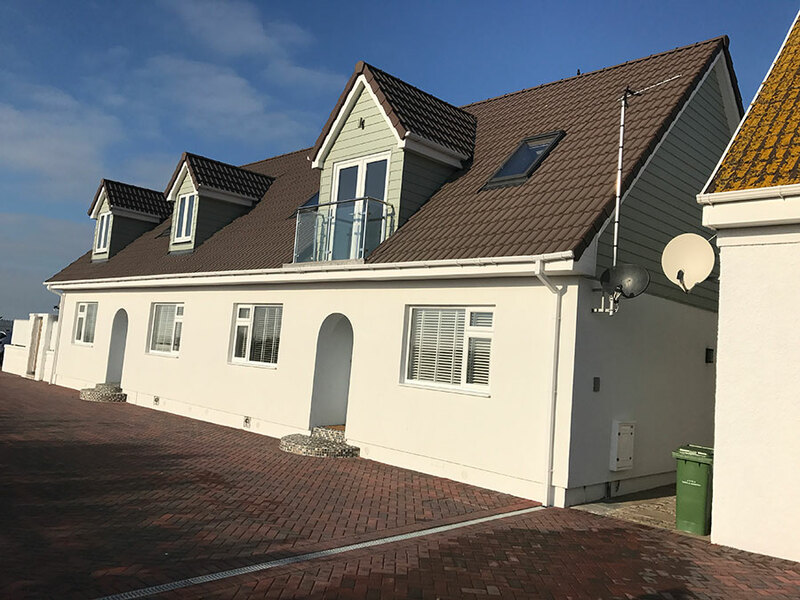 The project focus was to create a Moduloft that would provide the family with more living space and created 1 double bedroom, 2 single bedrooms and 1 family bathroom in the new roof space. 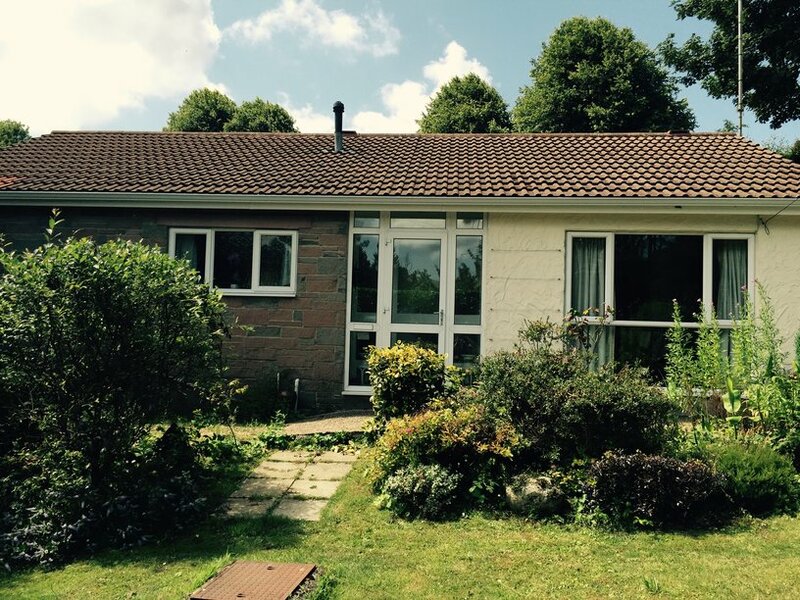 This property is now a true family home with room to grow. 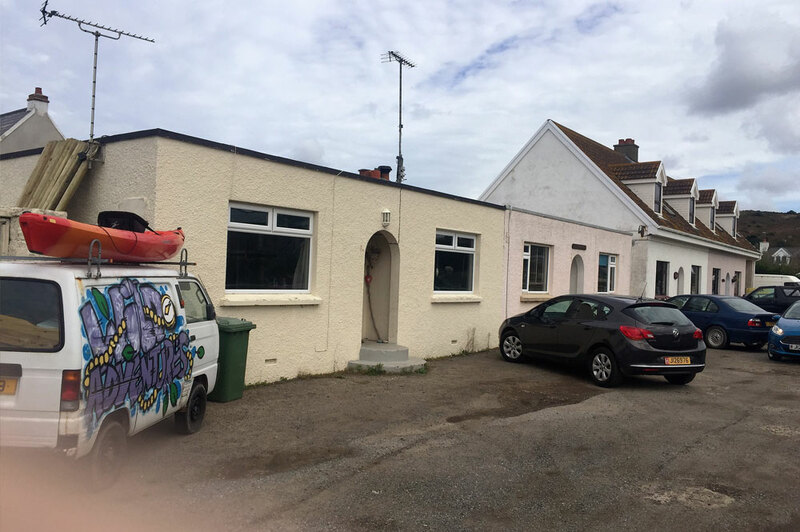 A key transformation for this property to take it from a 3 bedroom detached bungalow and develop a Moduloft that would create a new master bedroom with ensuite and walk in wardrobe, plus an additional 2 bedrooms and a gallery landing. 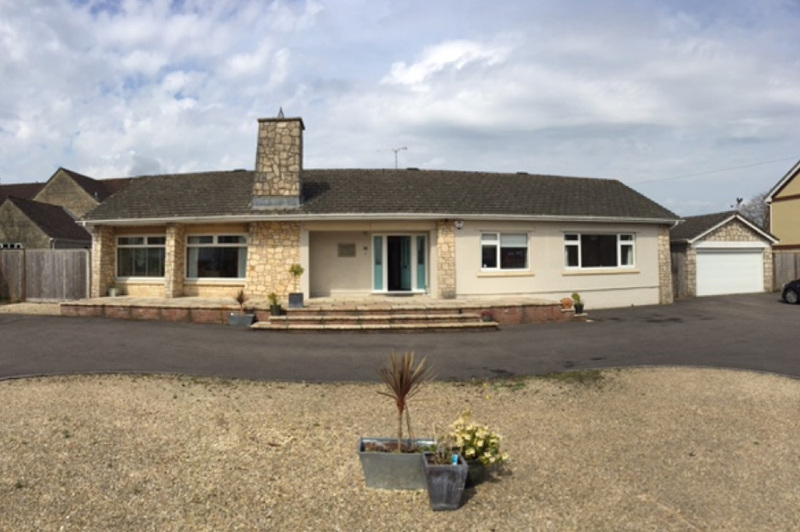 A project that was perfect to demonstrate how we can take a standard bungalow and create more living space by extending upwards. 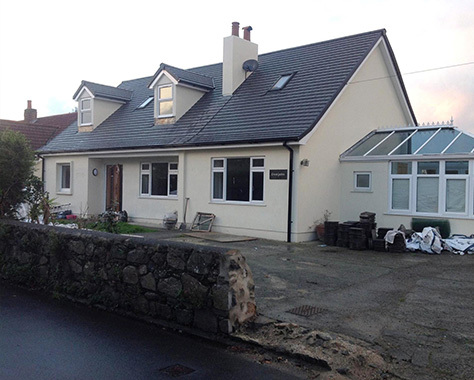 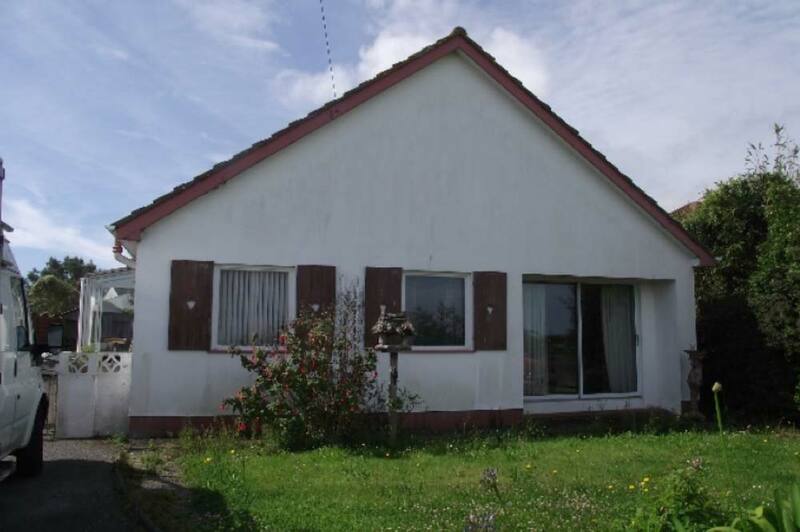 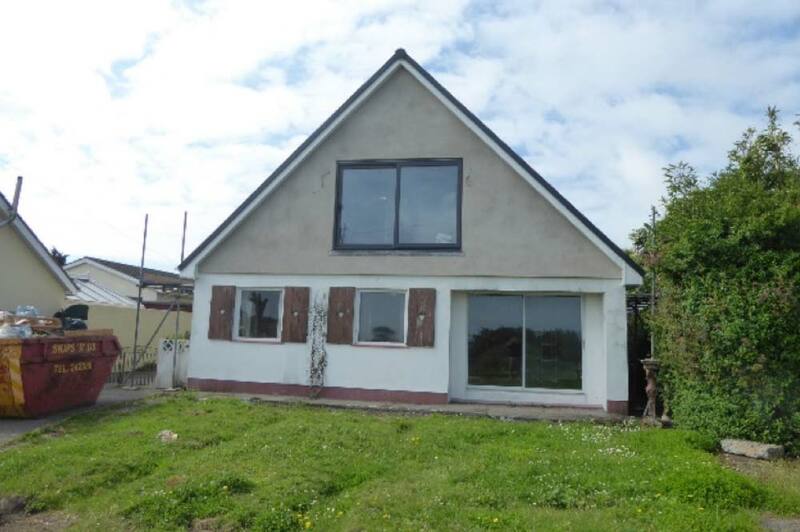 A perfect location in Jersey with views of the sea, but in a single storey bungalow. 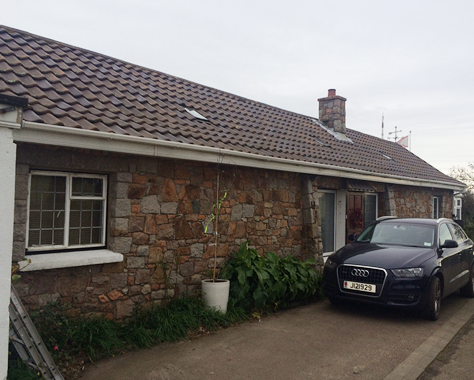 The owners felt they had the best spot on the Island but wanted to extend upwards. 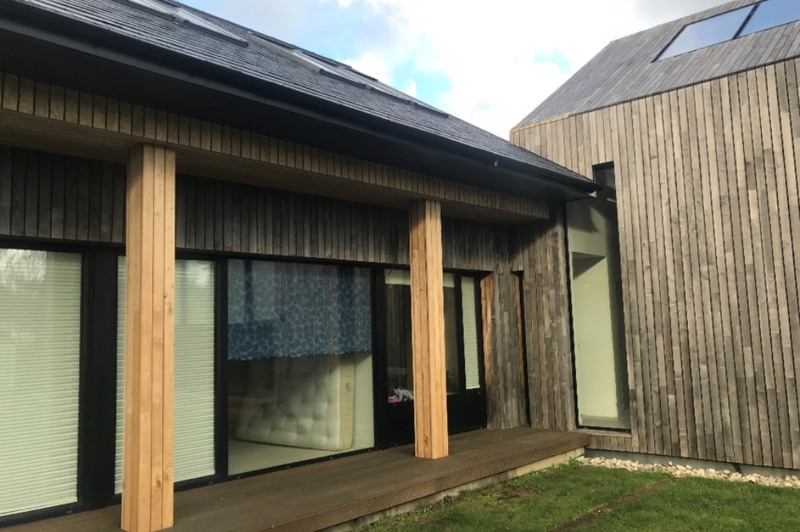 We developed a bespoke Moduloft that was a cedar clad roof space with extended large windows to ensure they could embrace the views around La Perruque. 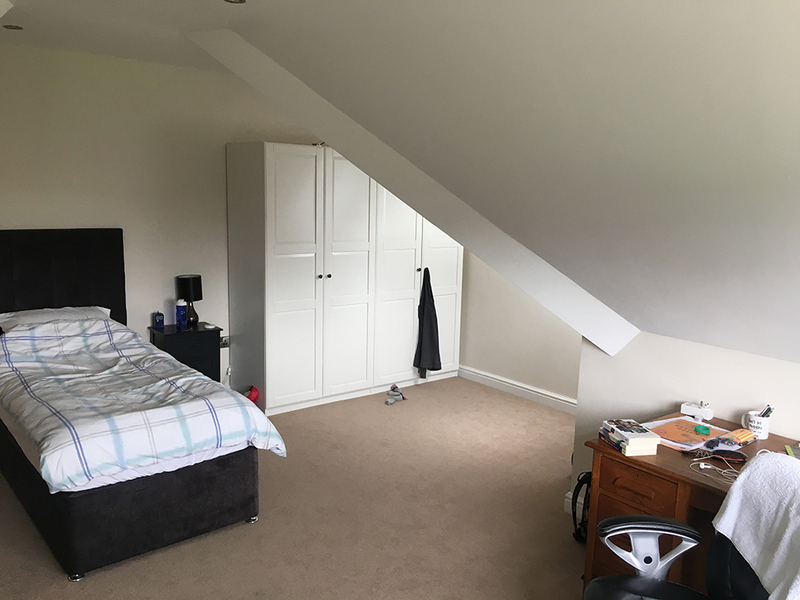 The space we built created 2 bedrooms and 1 bathroom. 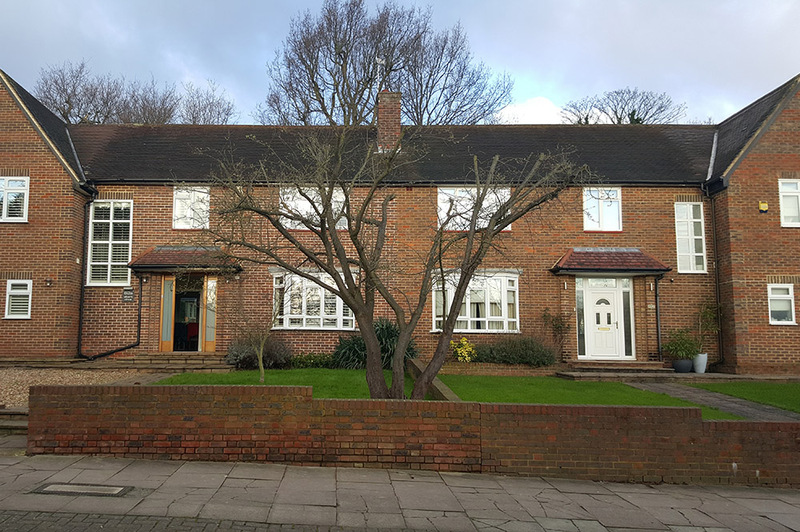 So by turning this property from a 2 bedroom into a 4 bedroom with extended space and viewing gallery upstairs has significantly increased its value, but more importantly provided this owner with a perfect home for their growing family. 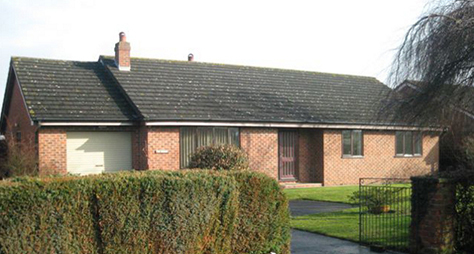 The Property owners were keen to extend their bungalow and create a family home. 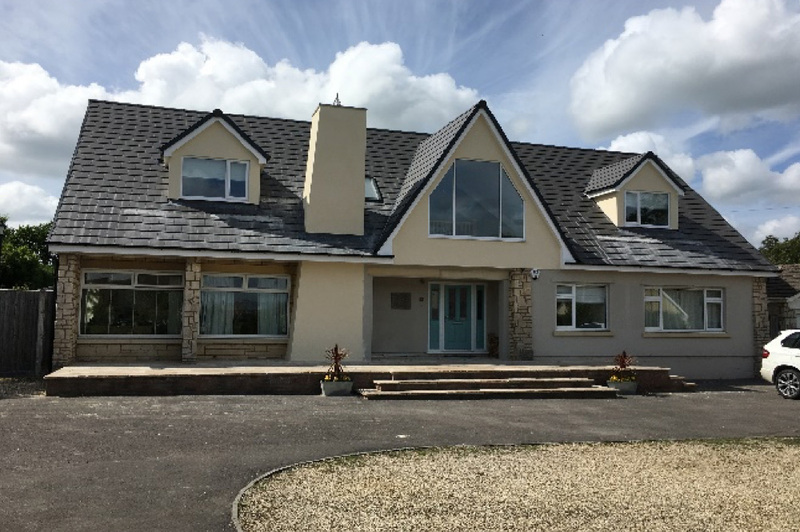 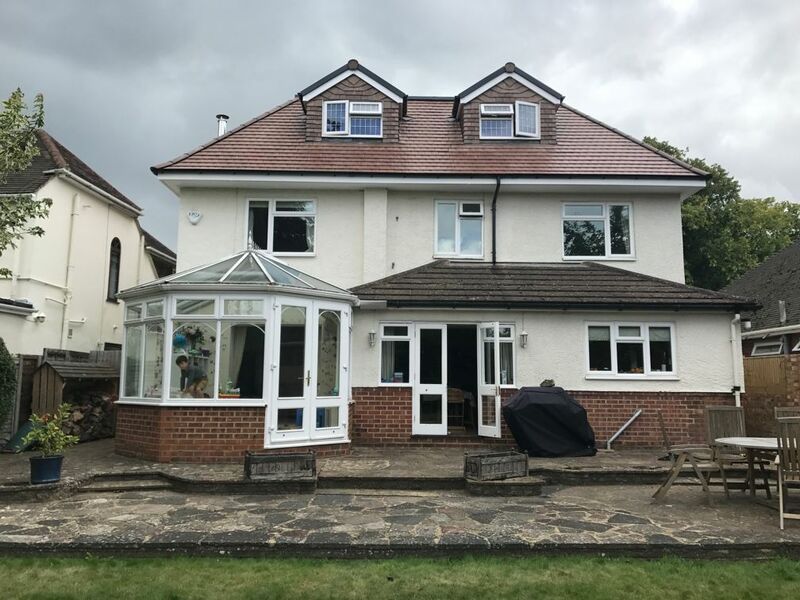 We designed and developed plans to extend the property with a new roof area that transformed this property into 4 bedroom and 3 bathroom extension. 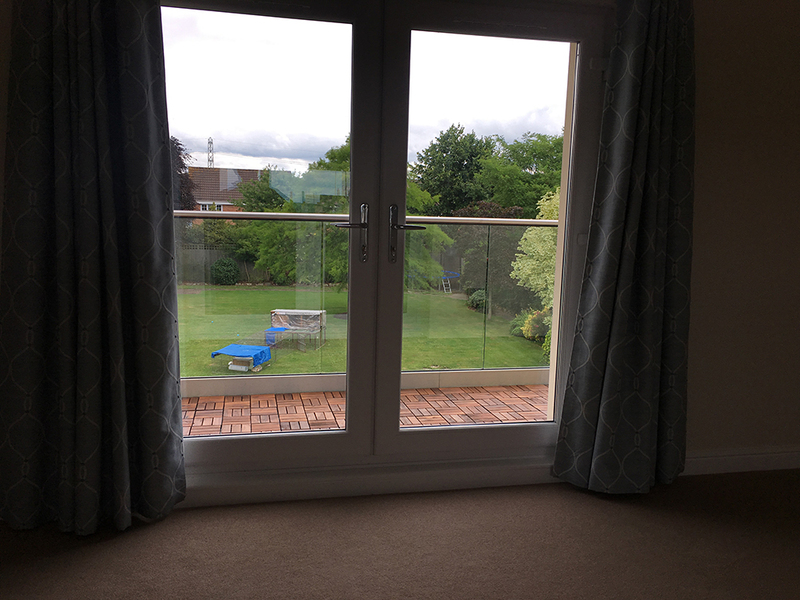 A unique feature we added was a glass balcony to enjoy the summer evenings. 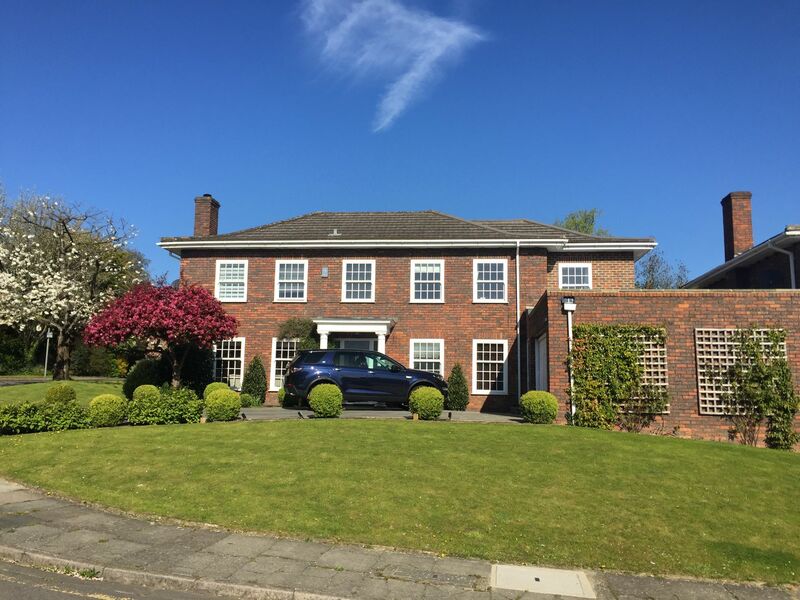 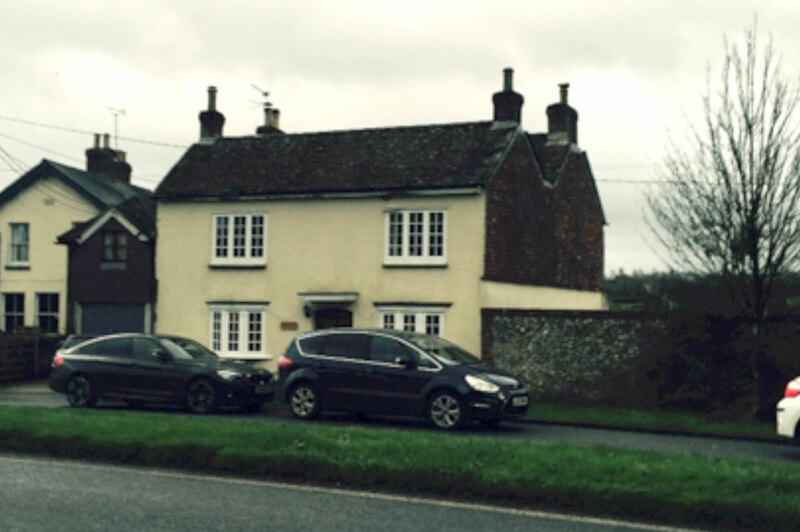 Our transformation now means the property value has gone up which is great news for the owners but for them it was about creating their dream family home. 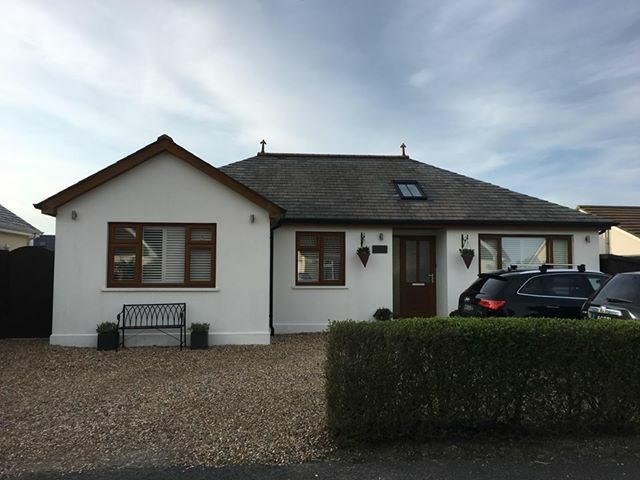 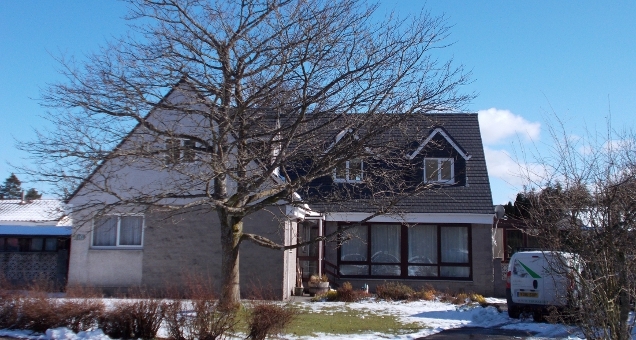 A traditional modern truss rafter detached bungalow with a low ridge height making it impossible to build a conventional loft conversion without removing the roof. 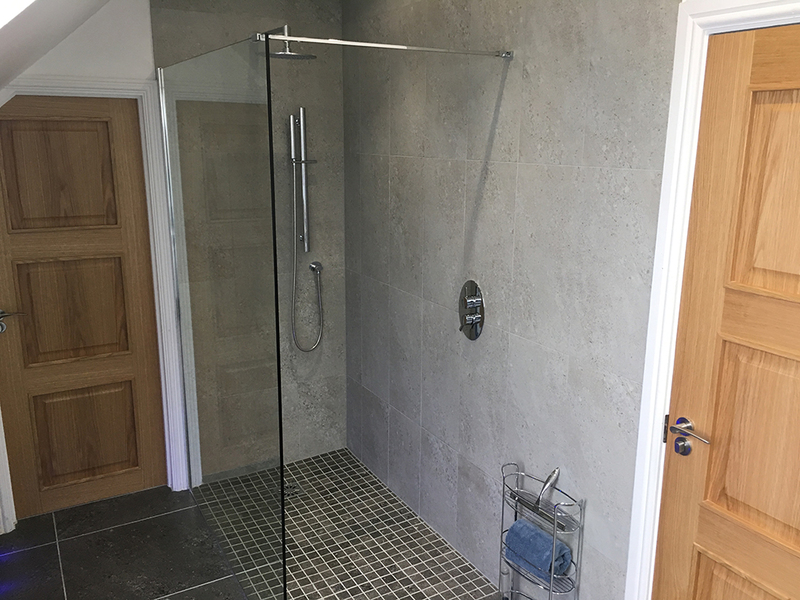 Our customer had a young expanding family and needed extra bedroom and bathroom space. 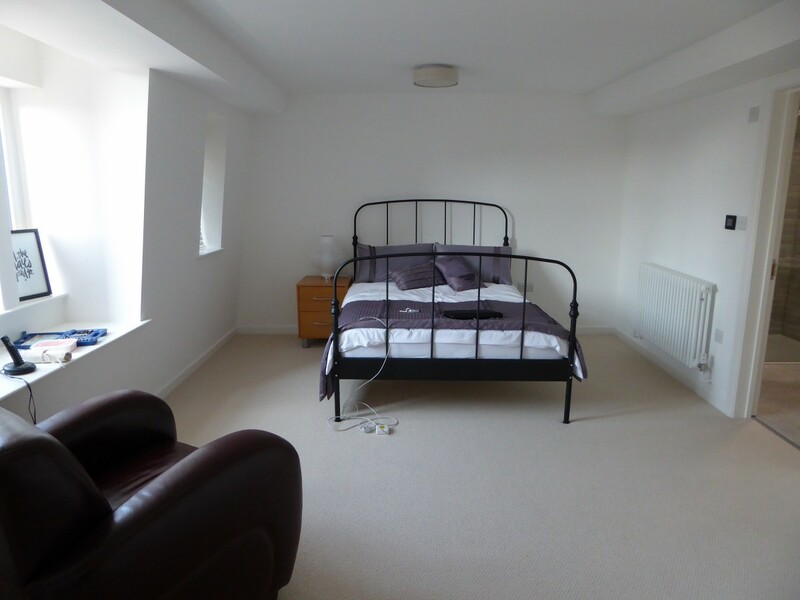 They also needed to use a ground floor bedroom as a playroom. 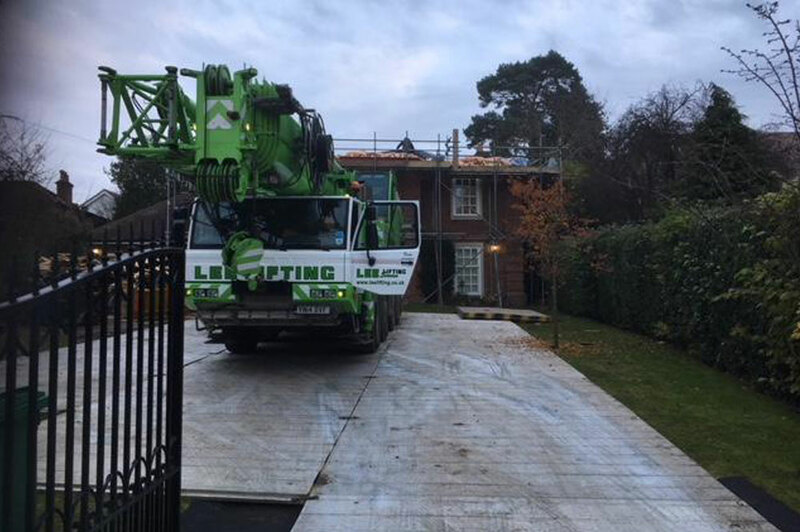 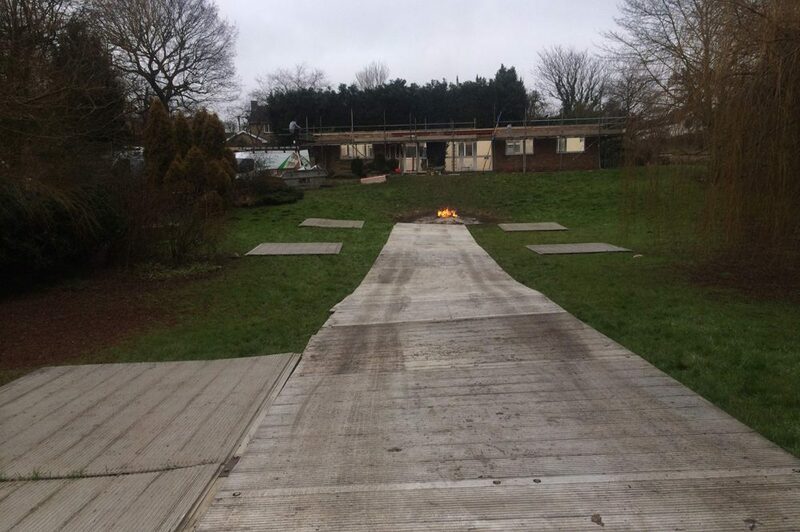 The option of moving out of the property was too disruptive and expensive so they needed a solution that would allow them to stay at home whilst the job was done. 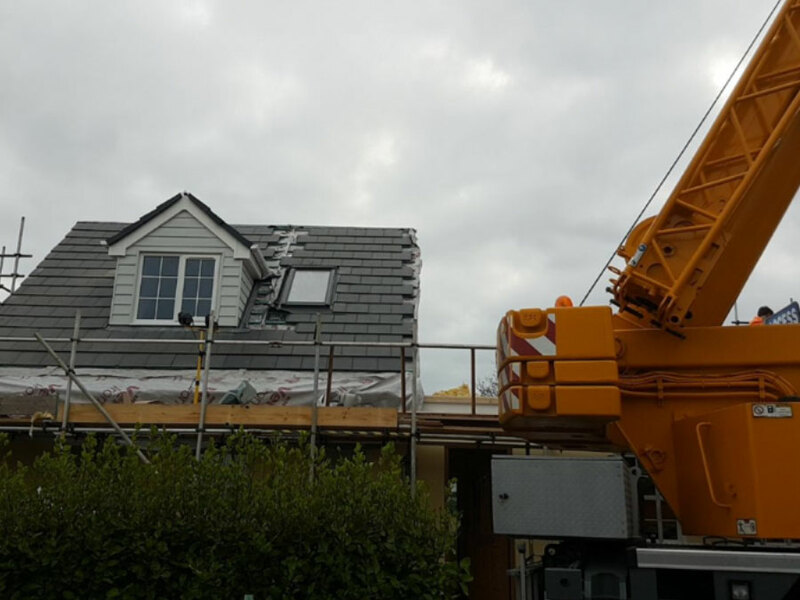 A normal roof removal and rebuild would have taken between 3 and 6 months to complete and have been very disruptive especially with small children and a baby to consider. 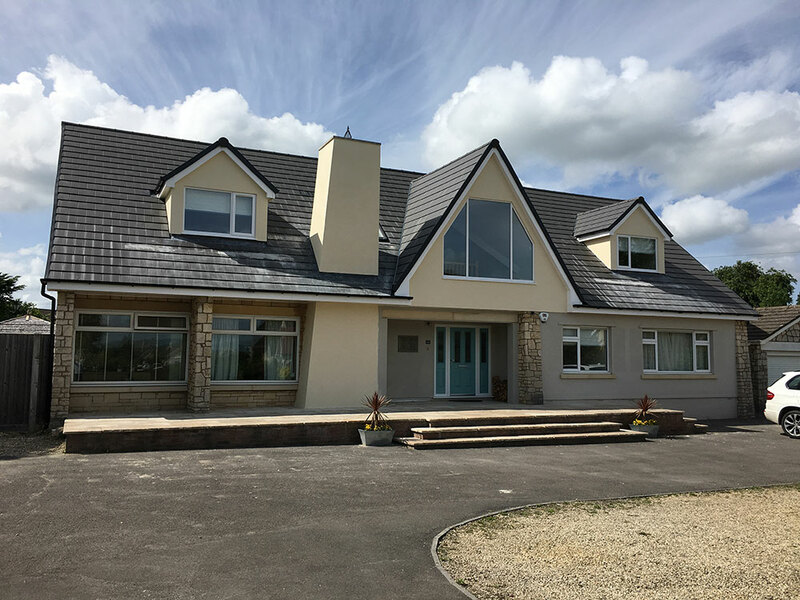 The family wanted to stay in the home and have little disruption and naturally add value to the property through the renovation project. 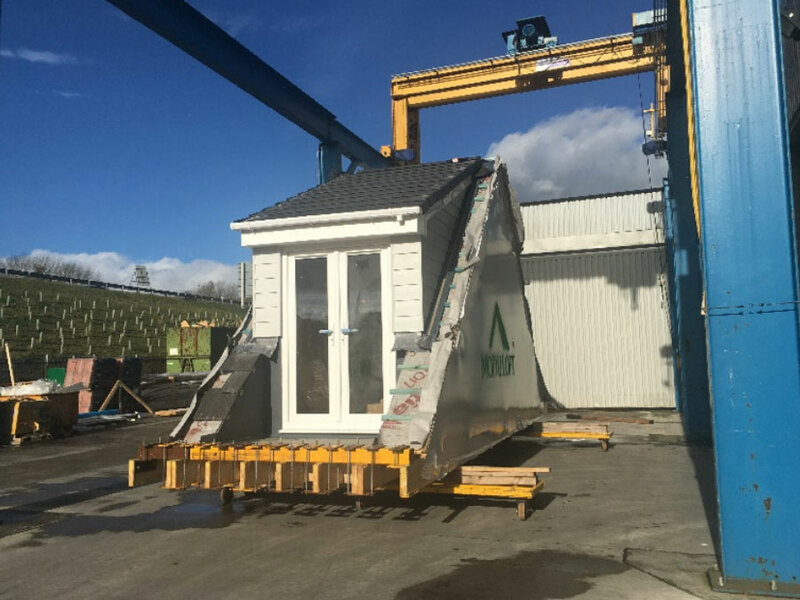 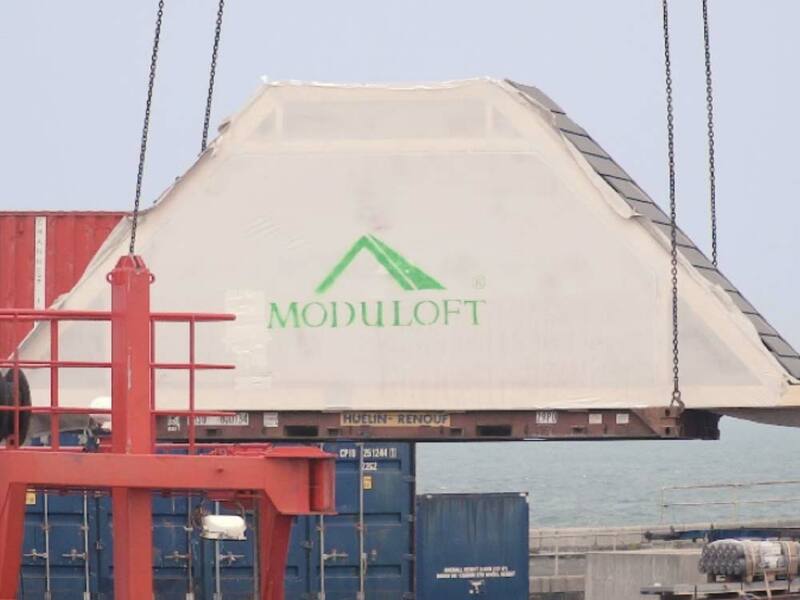 Moduloft was a perfect solution with speed of build in the factory. 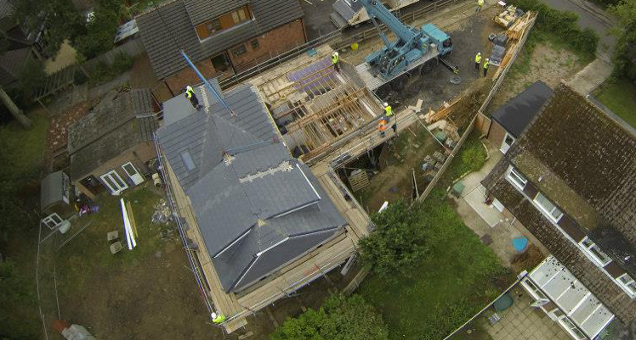 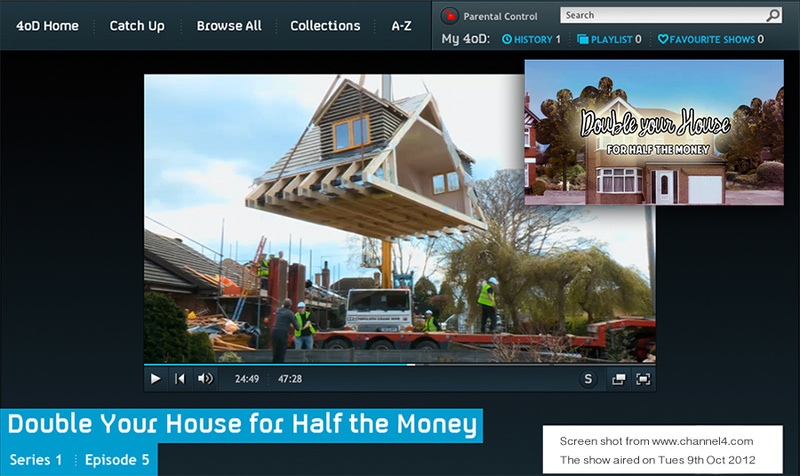 This project was featured on Sarah Beeny’s TV program ‘Double your house for half the money’ on Channel 4 in October 2012. 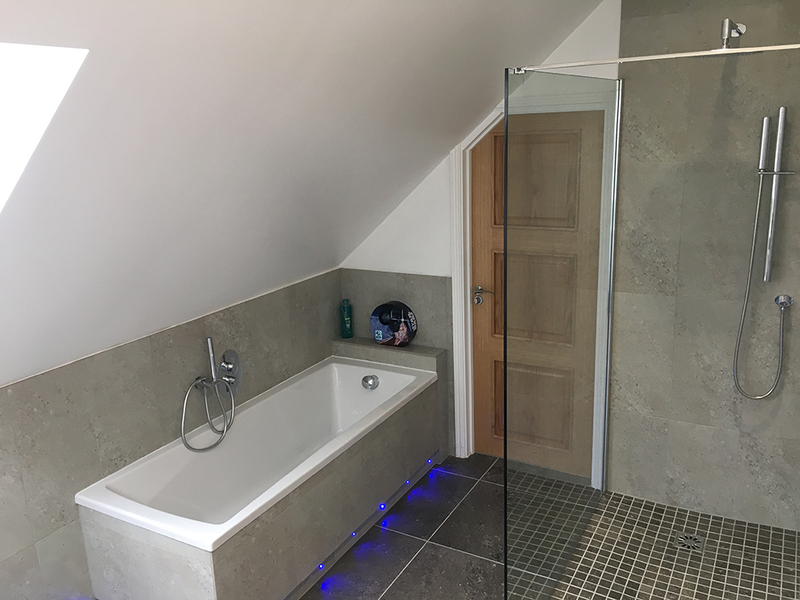 This extensive project was to create four double bedrooms, a shower room and a family bathroom. 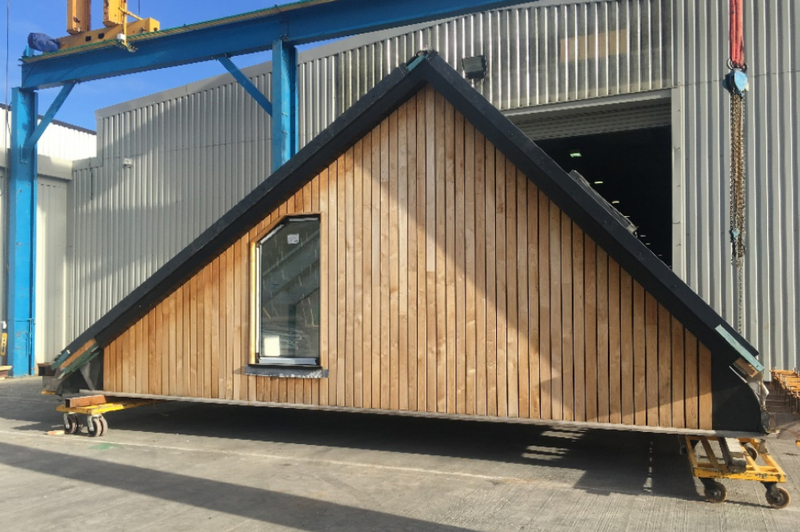 Overall this kind of development was perfect for Moduloft as the family didn’t want to wait for months and needed to see how the improvement could also increase the property value. 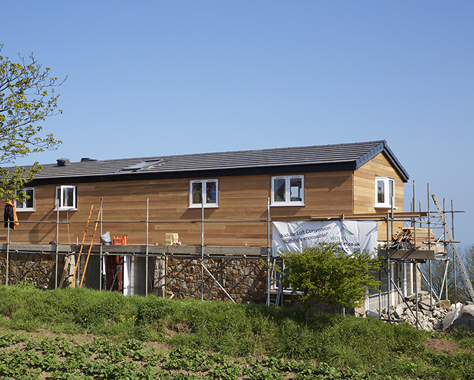 Our first project in the Channel Islands. 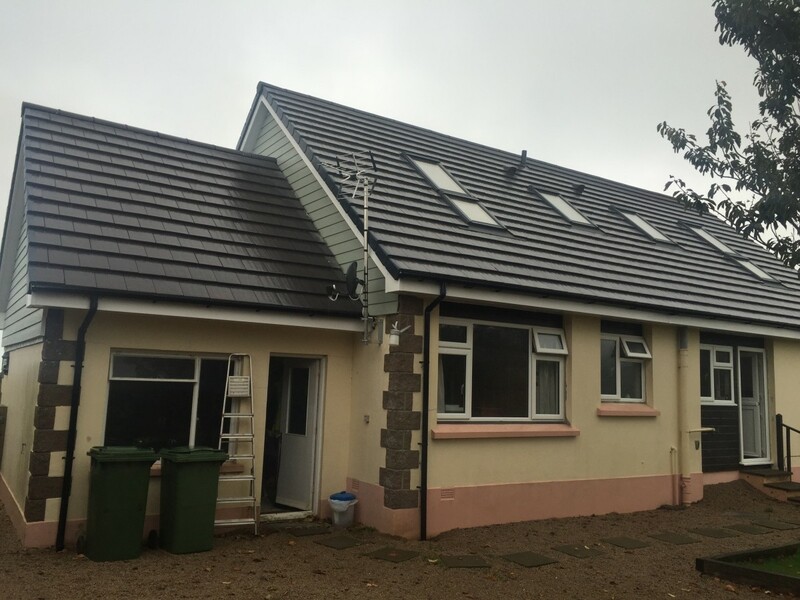 The family we worked with were keen to renovate their bungalow and create much needed space for them and their 3 children. 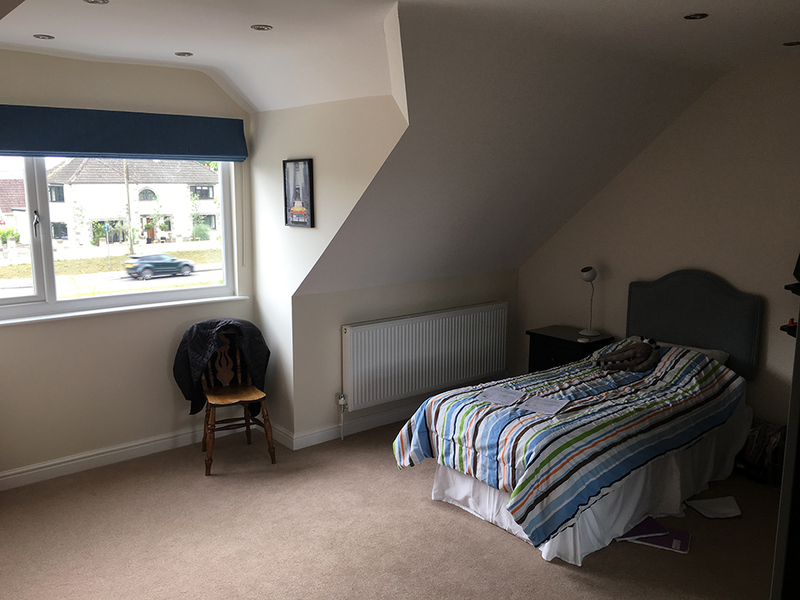 Our renovation was to build a Moduloft that contained a master bedroom with dressing room, a bathroom and a single bedroom. 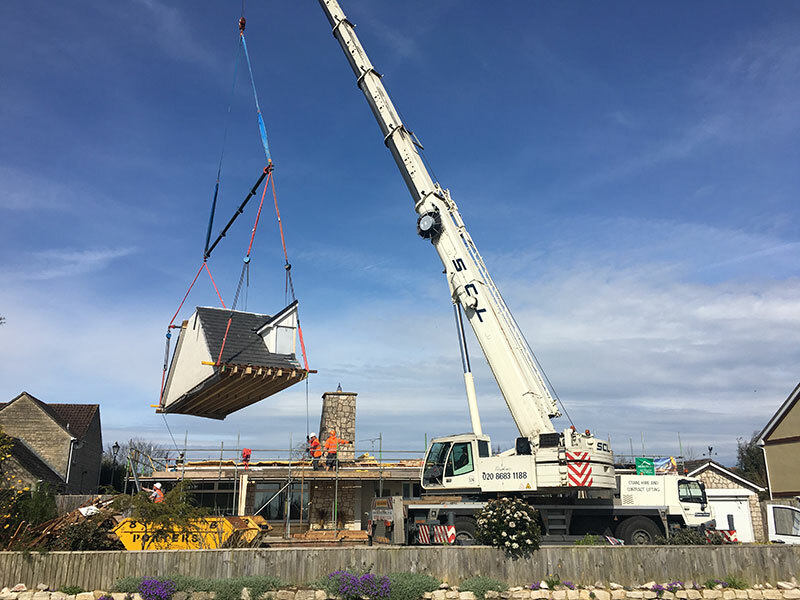 Our location and speed of build was the same for the Channel Islands, with our fully managed service the process and timeframes are all agreed and with ease we can offer Moduloft to the Channel Islands.